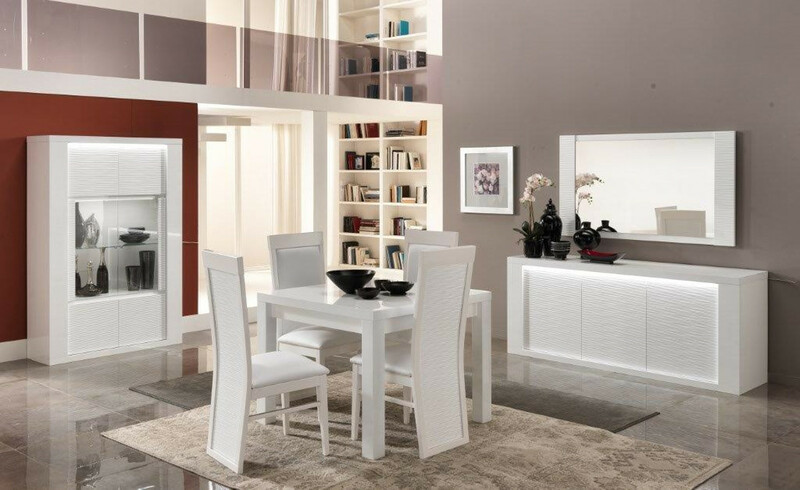 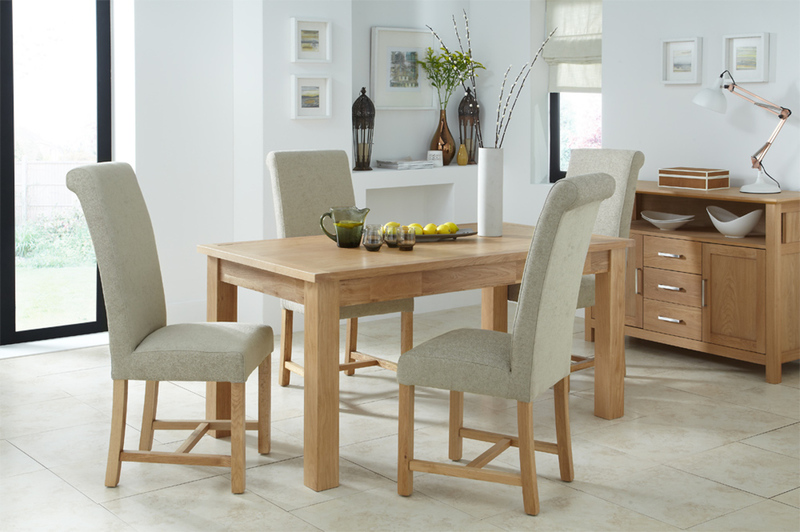 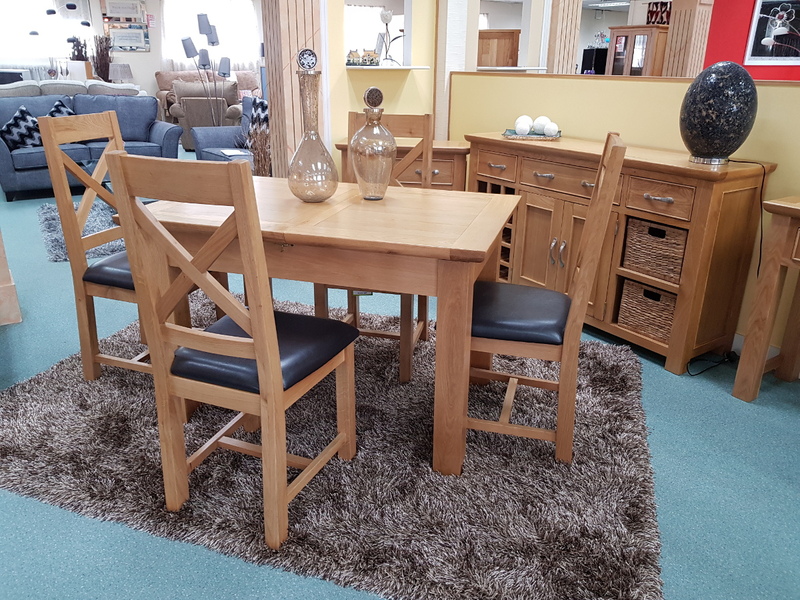 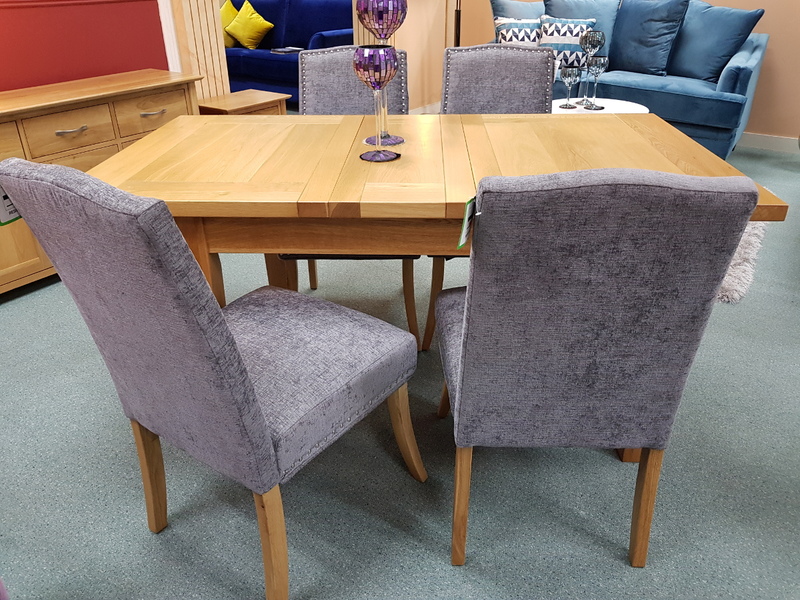 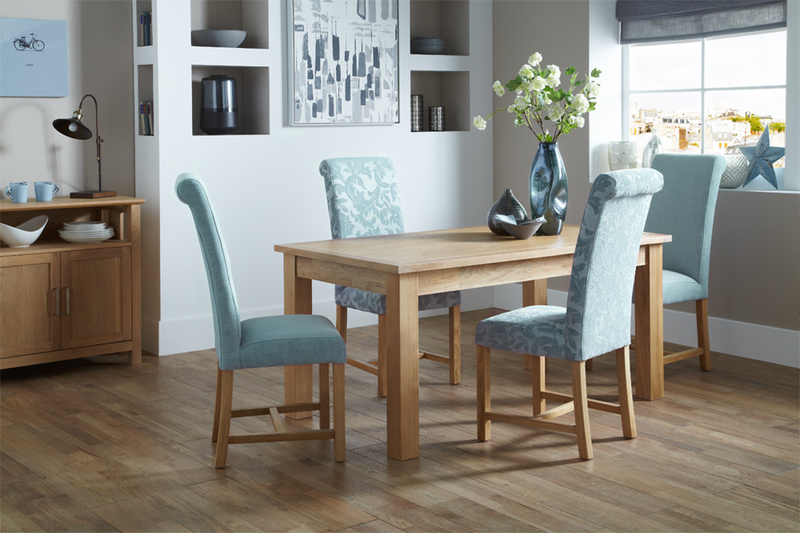 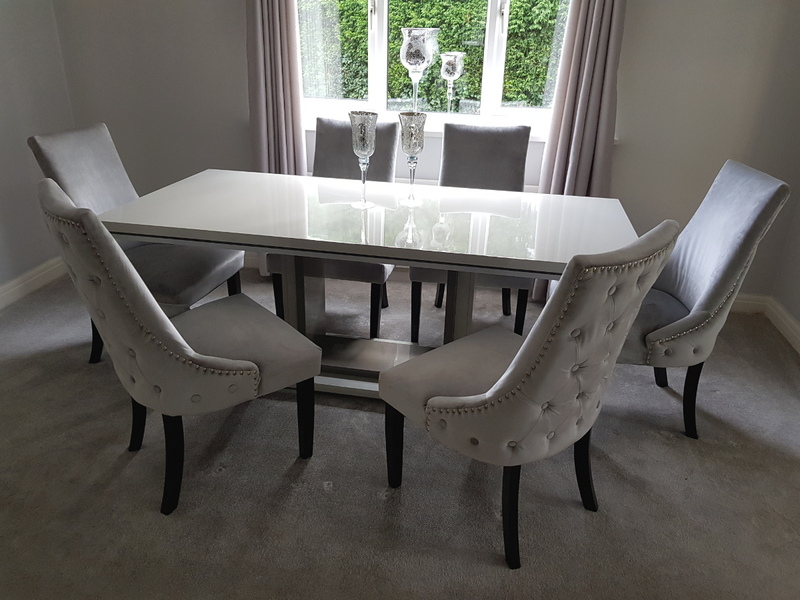 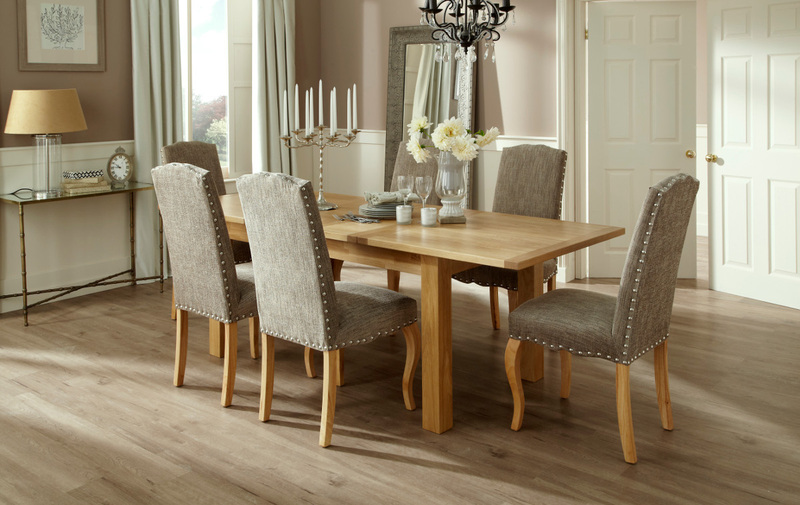 Many important moments shared take place around the dining table so your kitchen, dining room or lounge deserves furniture that will set the scene. 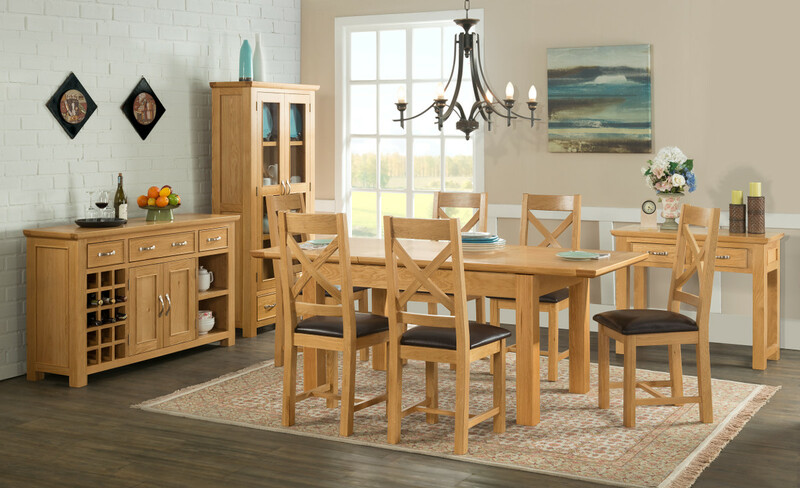 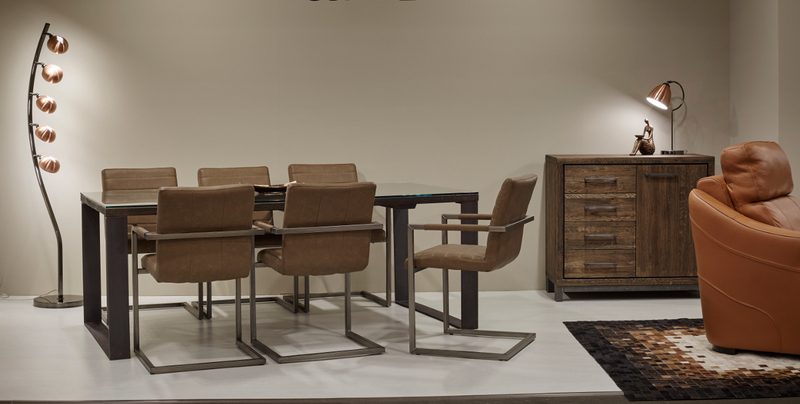 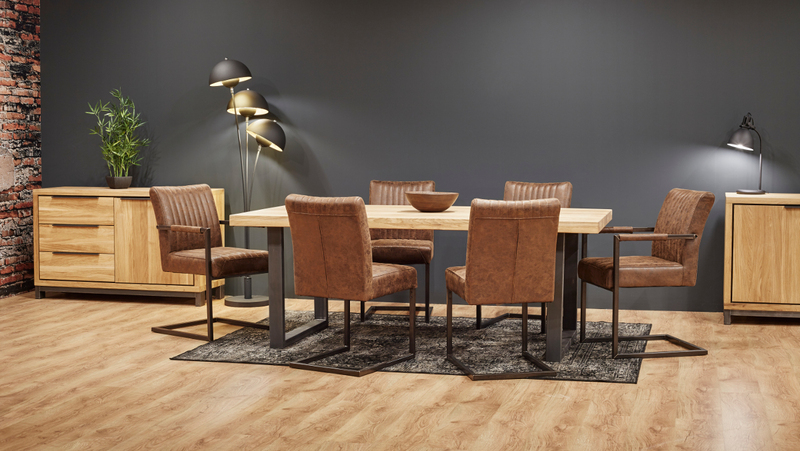 From family dinners, evenings in with guests or coffee and conversations with friends, we offer a vast assortment of dining furniture that will provide everything you need to create the perfect space. 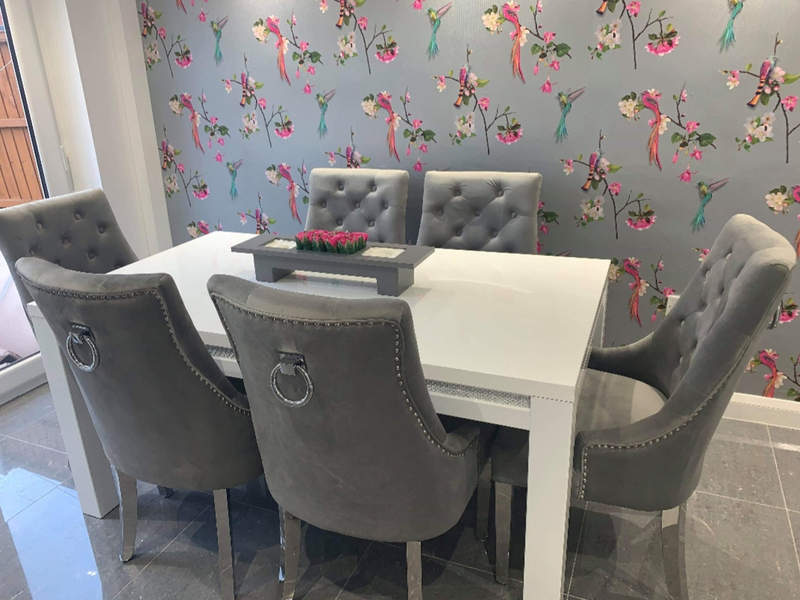 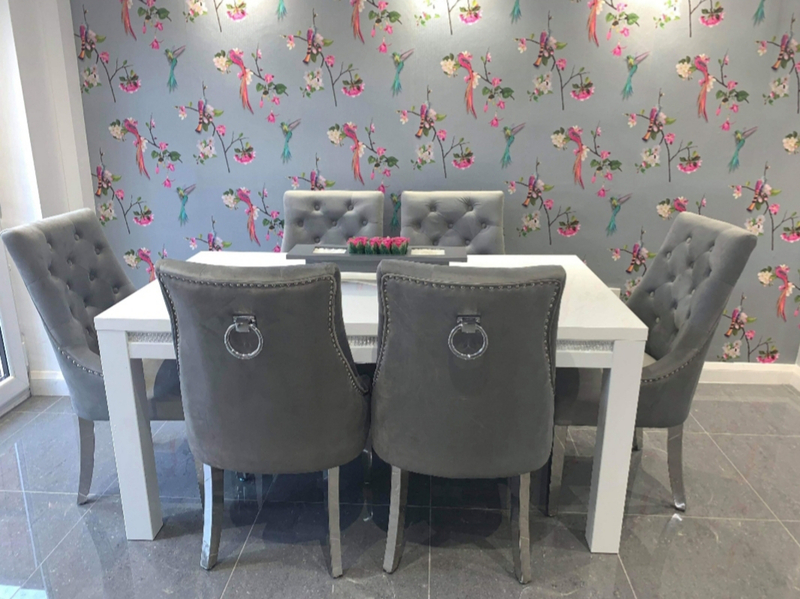 For a complete interior package, you can shop dining sets by range, alternatively you can customise your living area by mixing and matching your dining table and chairs to create a truly bespoke look and feel. 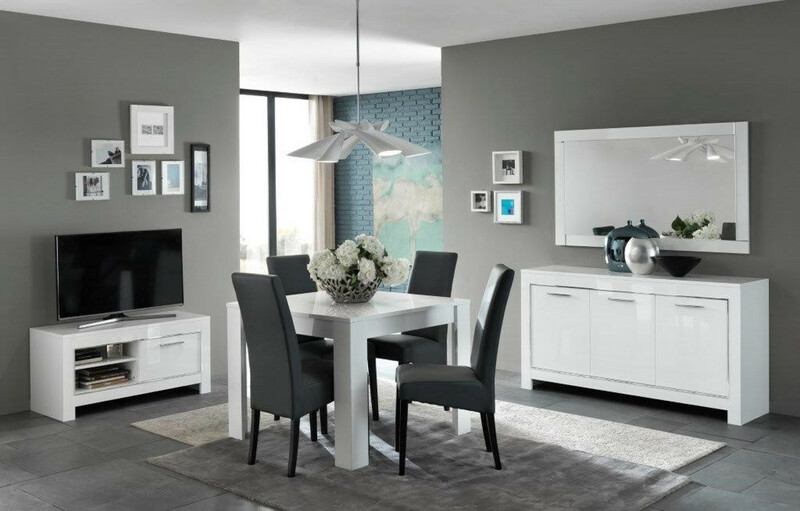 You can complete your dining space with our range of sophisticated sideboards that can be used as a table for ornaments, lamps and books amongst other things as well as to offer a practical storage solution in the interior for tableware and other essentials. 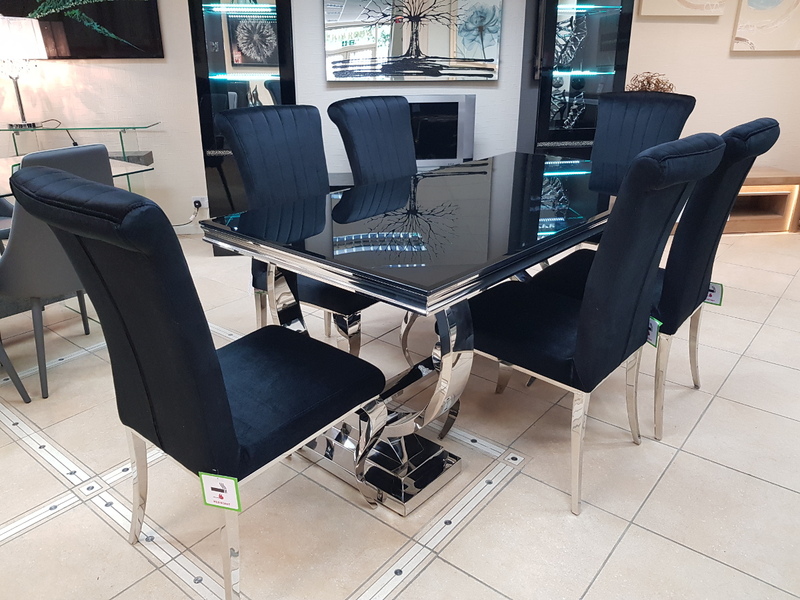 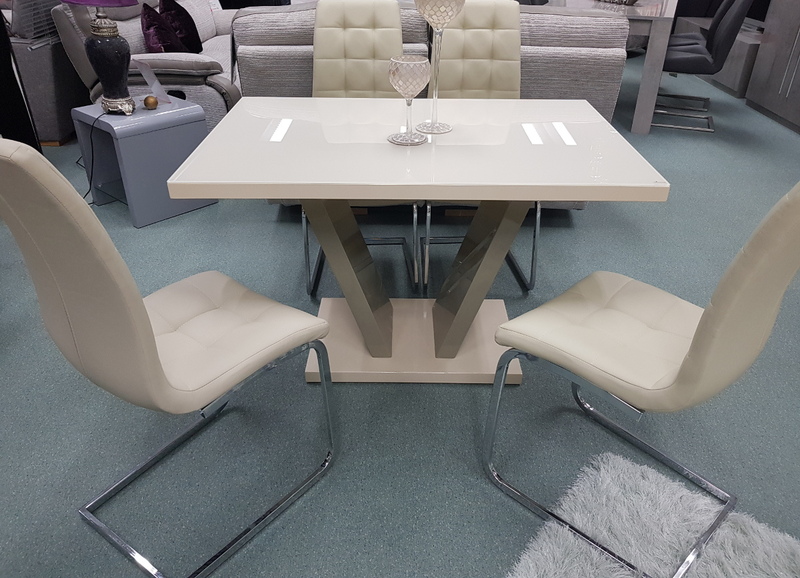 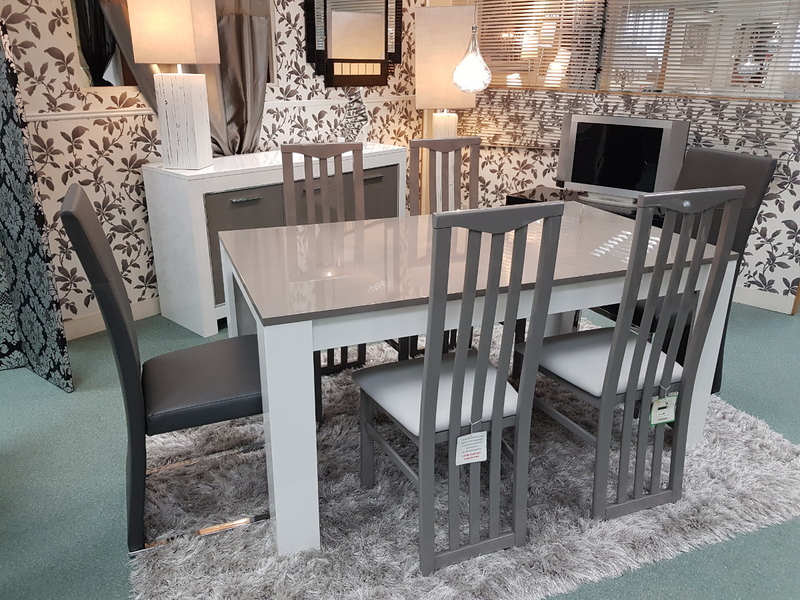 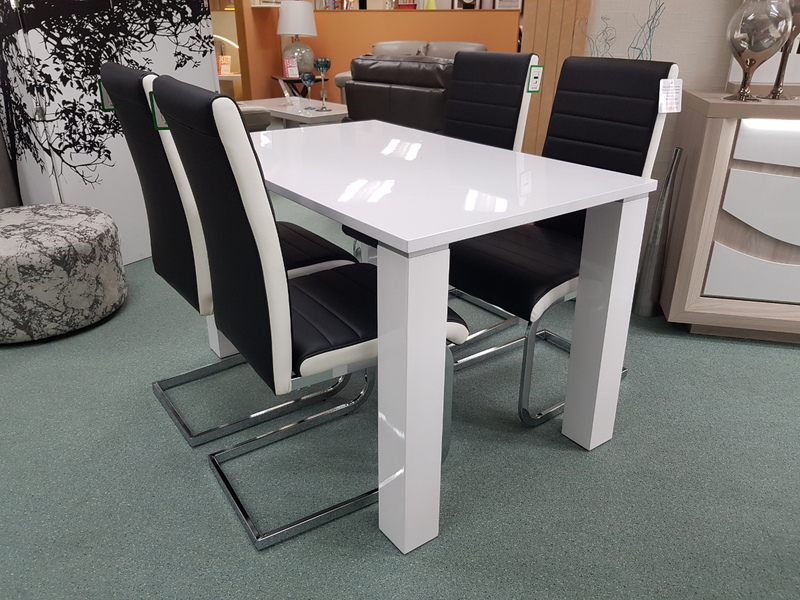 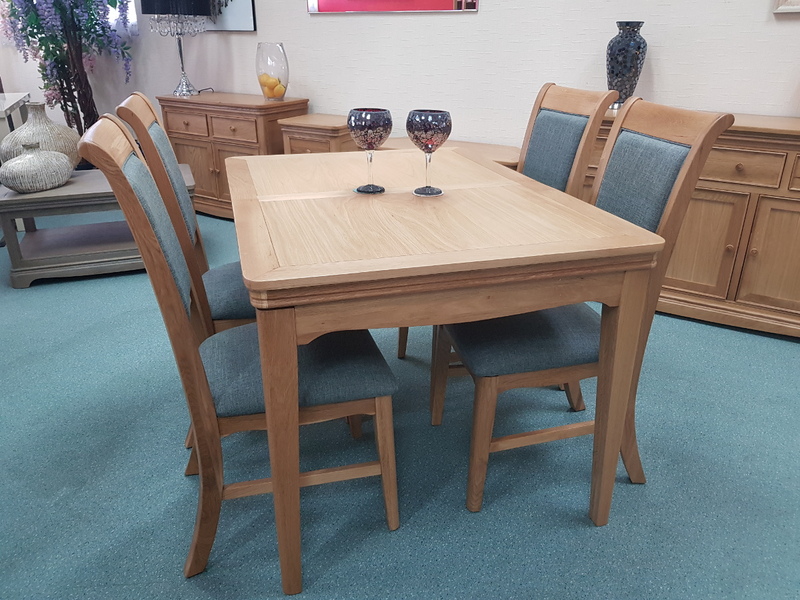 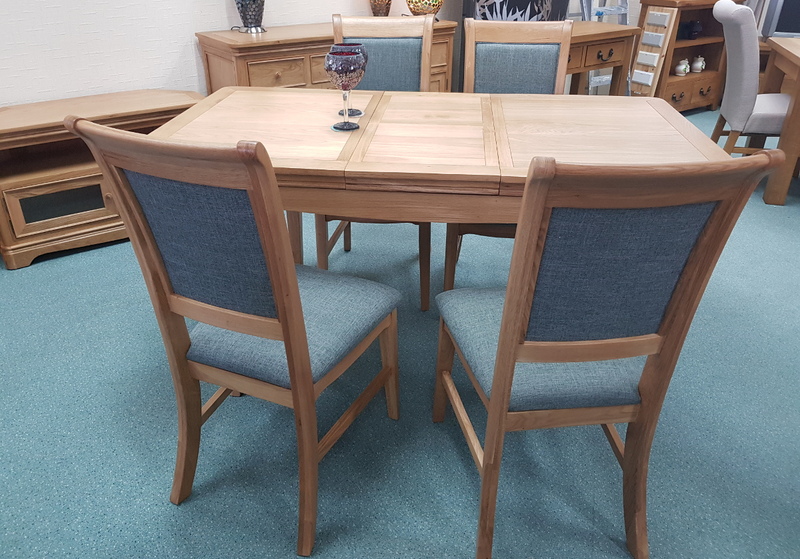 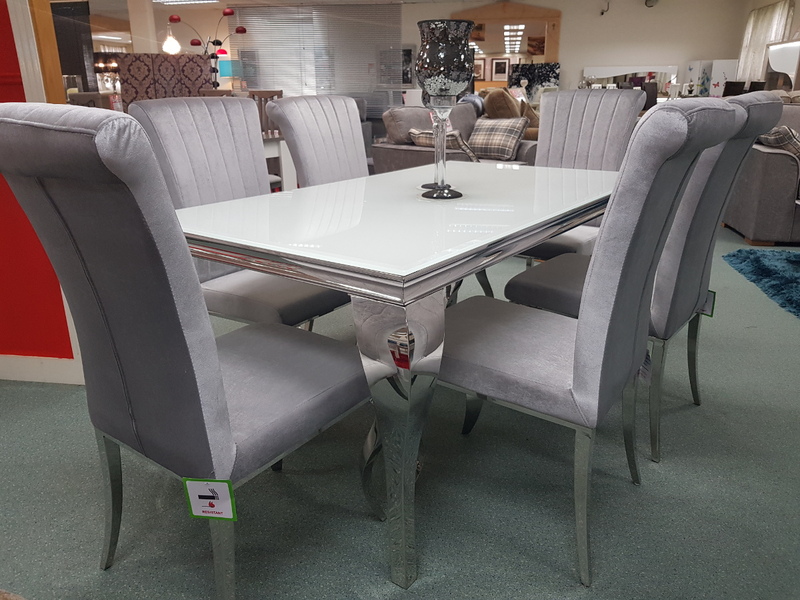 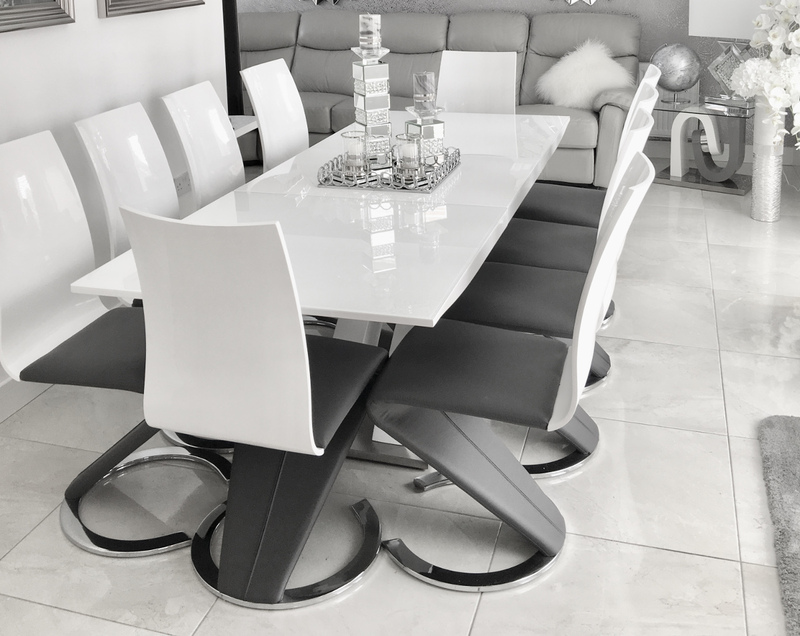 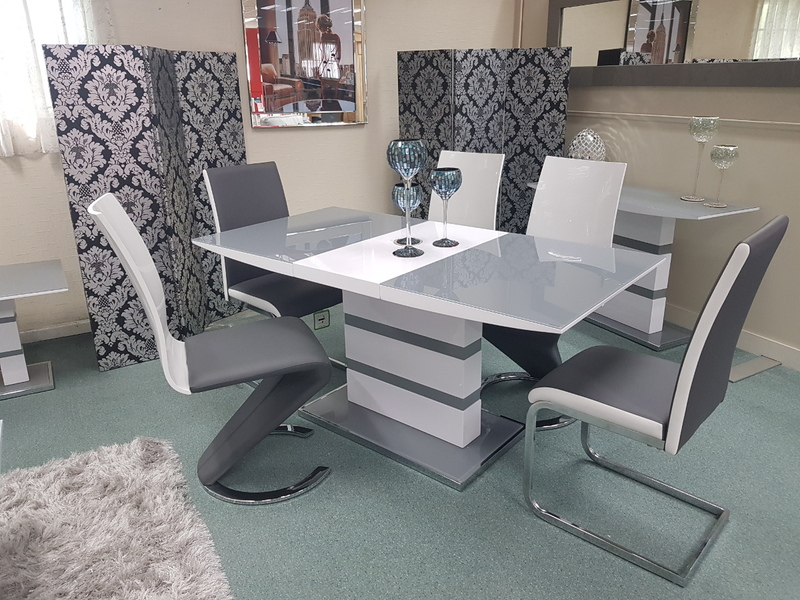 Whether you are looking for dining furniture that is traditional, sleek, contemporary, formal or family-friendly, we have something in our offering for you. 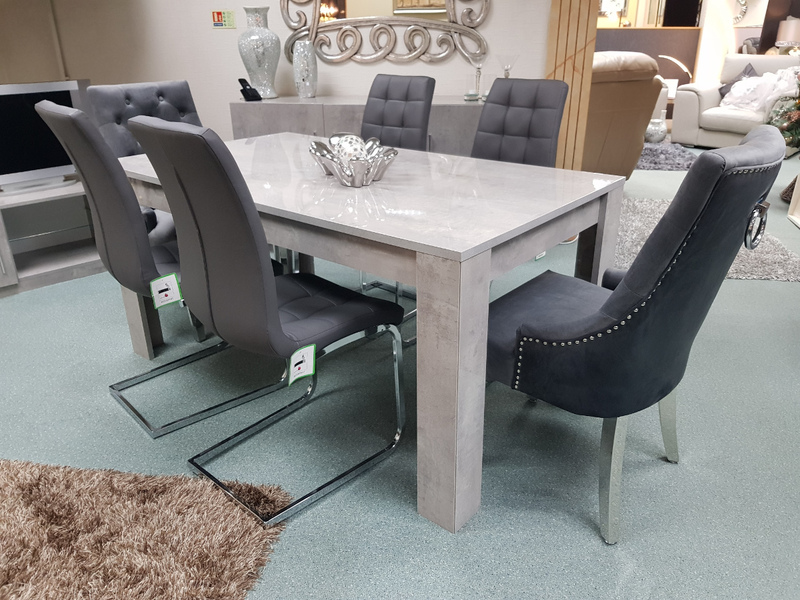 From square tables to rectangular tables, round tables, oval tables and hexagonal tables, our dining tables are available in a variety of shapes and sizes so no matter the available space you have, we will be on hand to help you find something that perfectly fits for you. 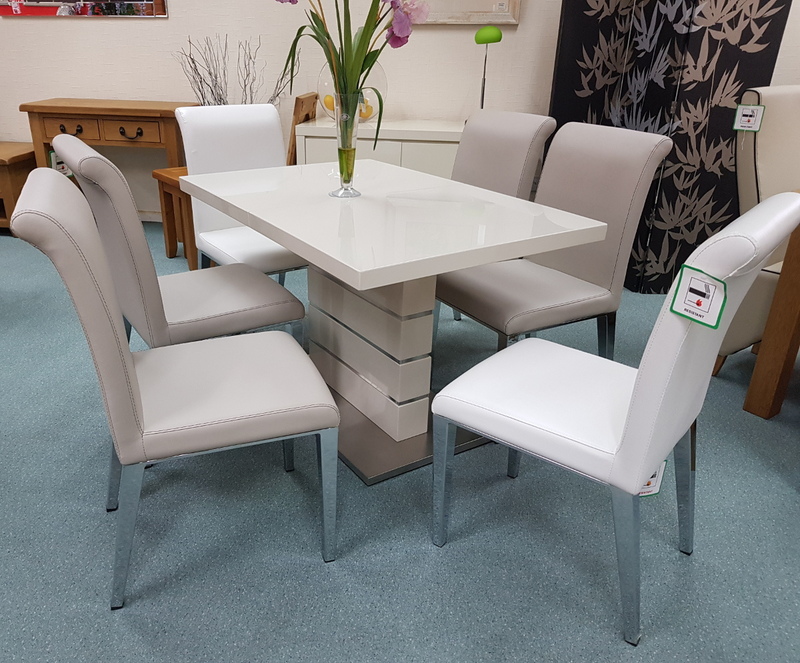 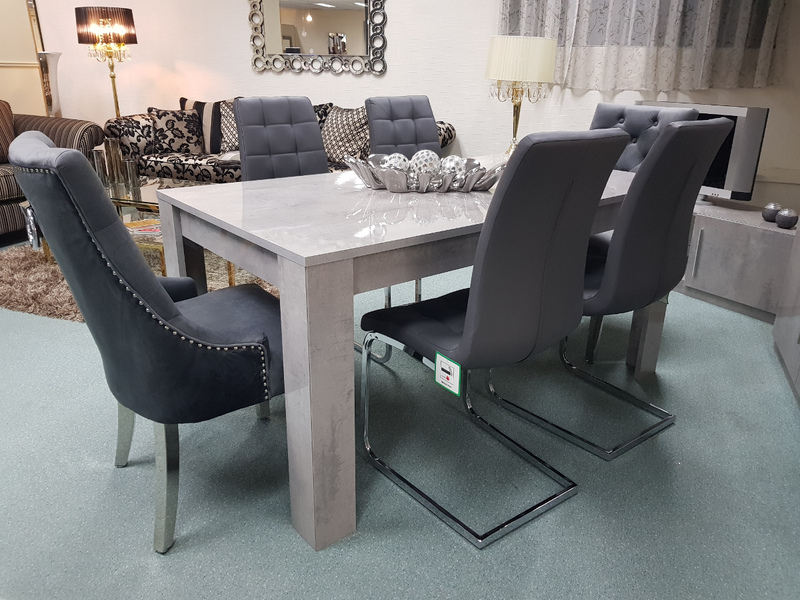 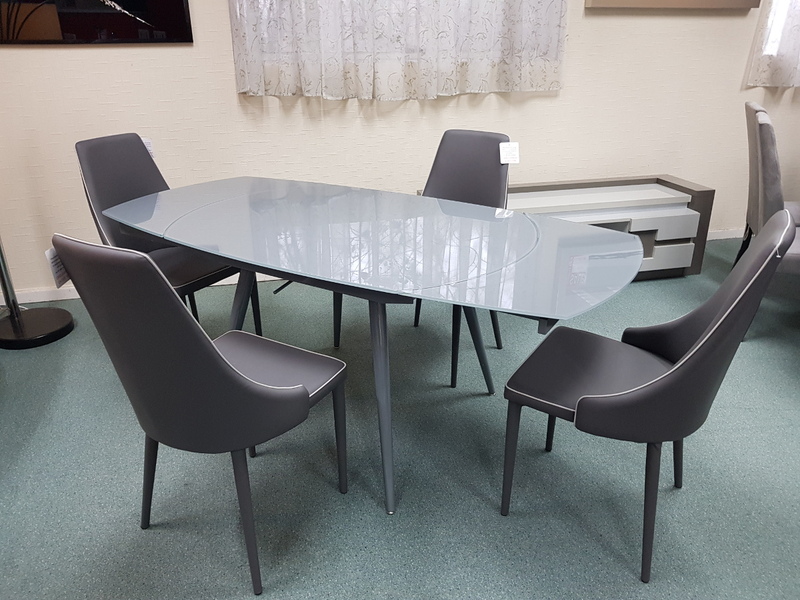 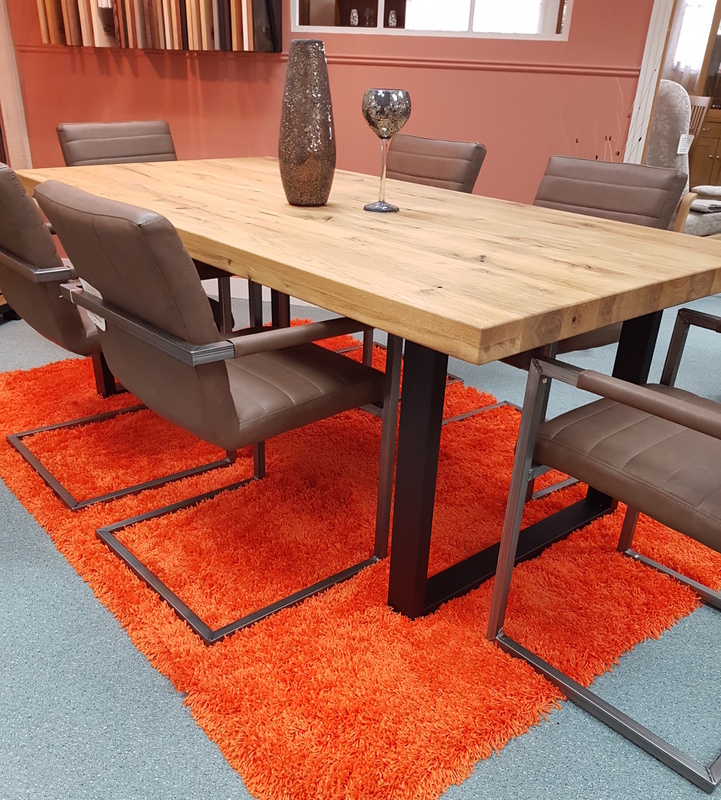 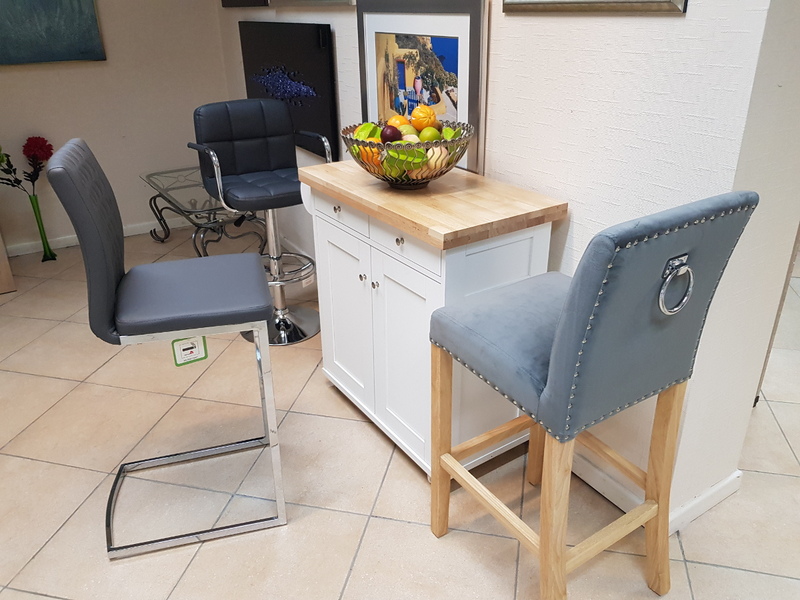 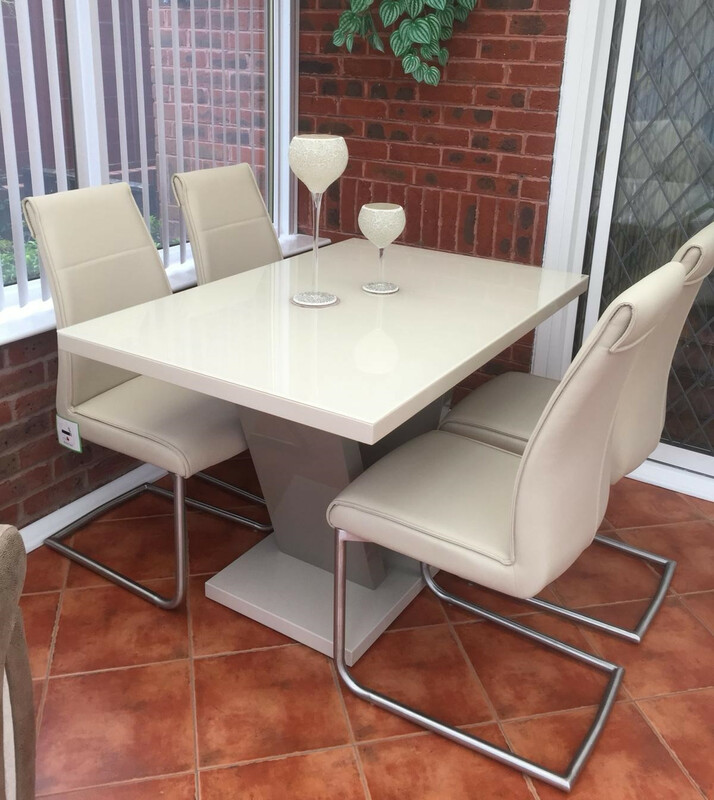 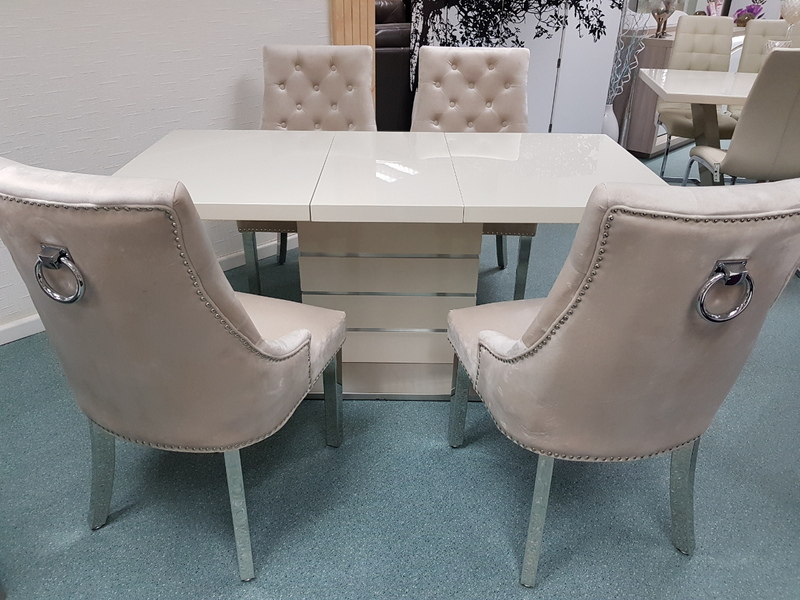 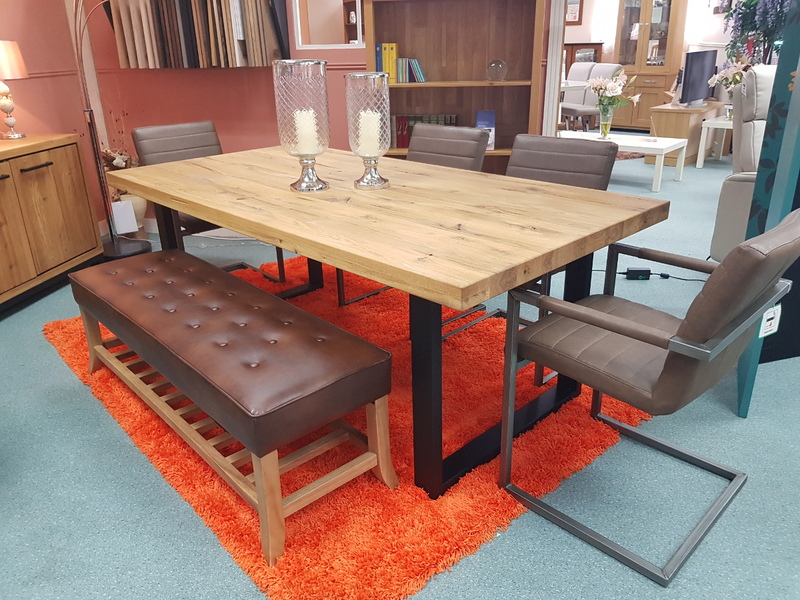 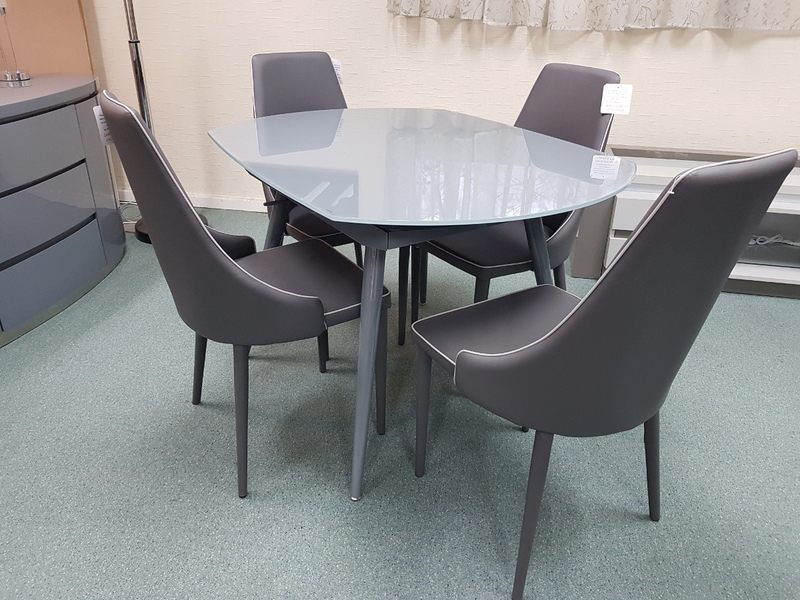 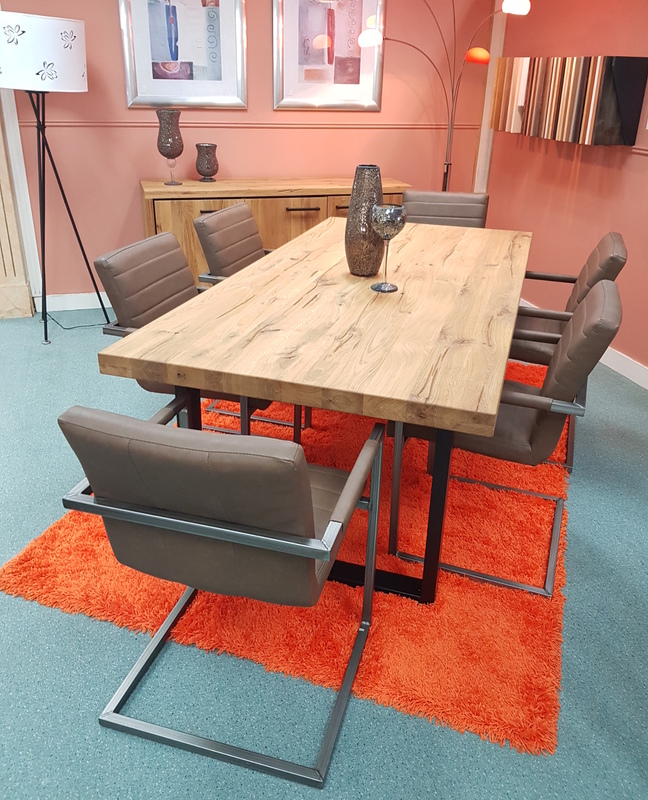 Our offering includes an assortment of extending tables to accommodate for extra space and seating when required including single leaf and double leaf extending tables. 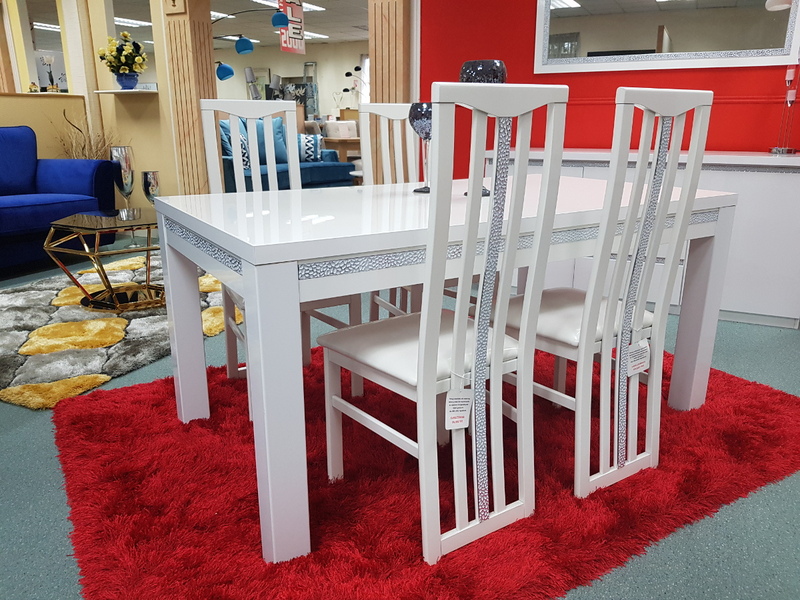 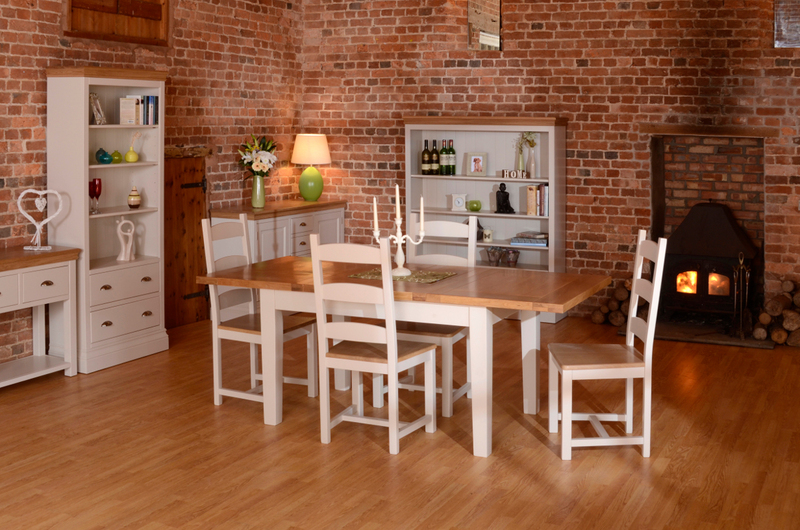 We also stock a range of fixed top tables and flip top tables. 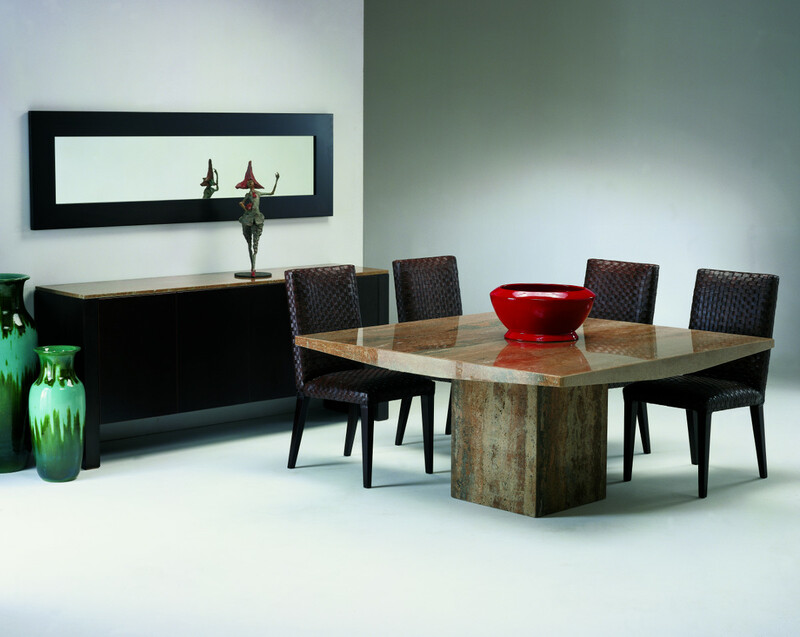 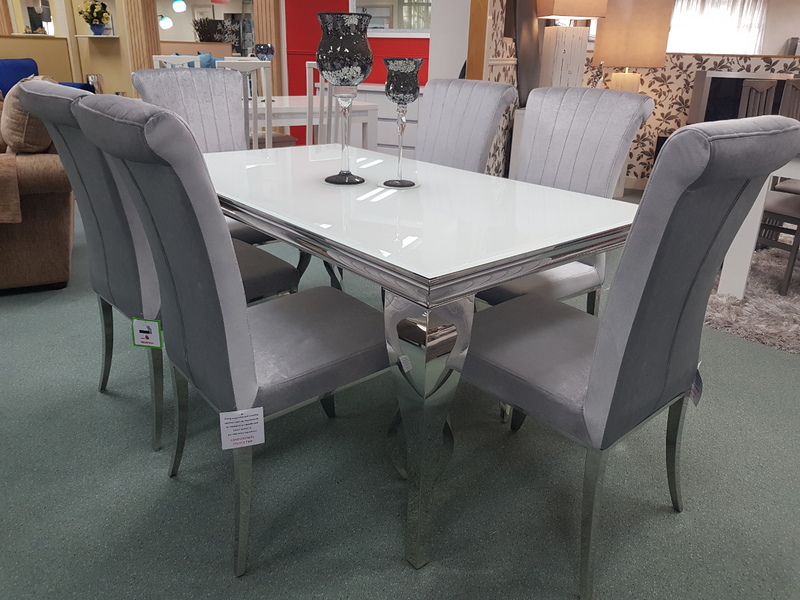 Selected dining sets we stock can also be made to measure including marble and solid wood styles. 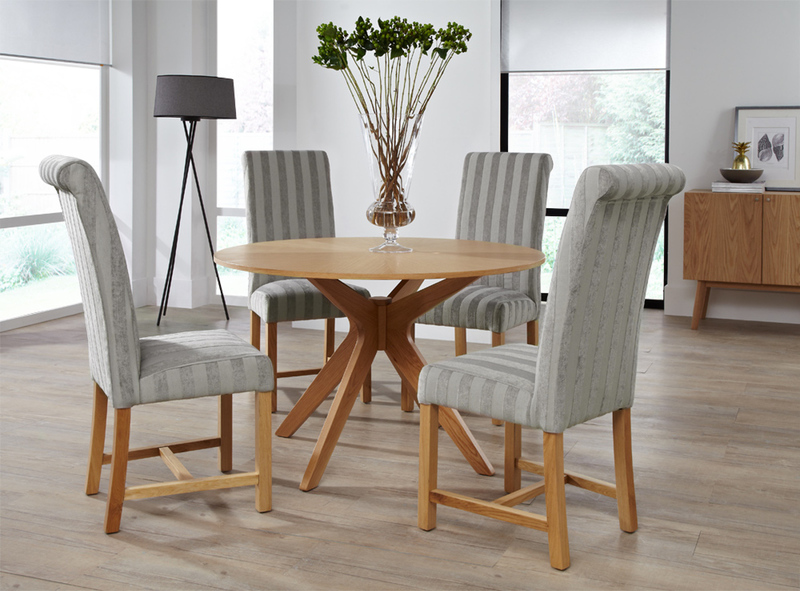 Enquire for further details on how you can create your own bespoke dining set. 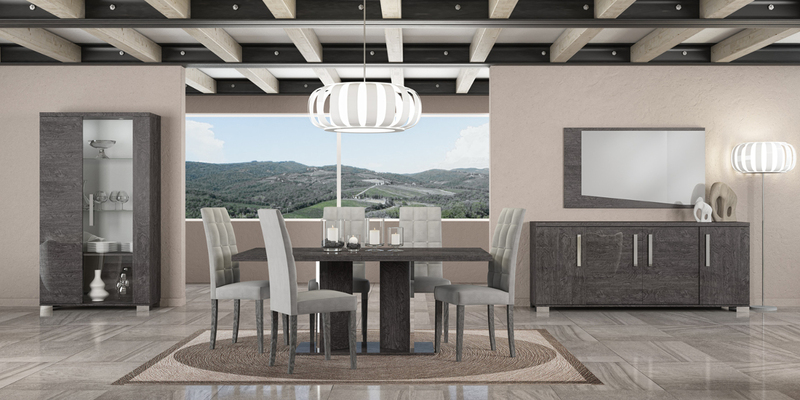 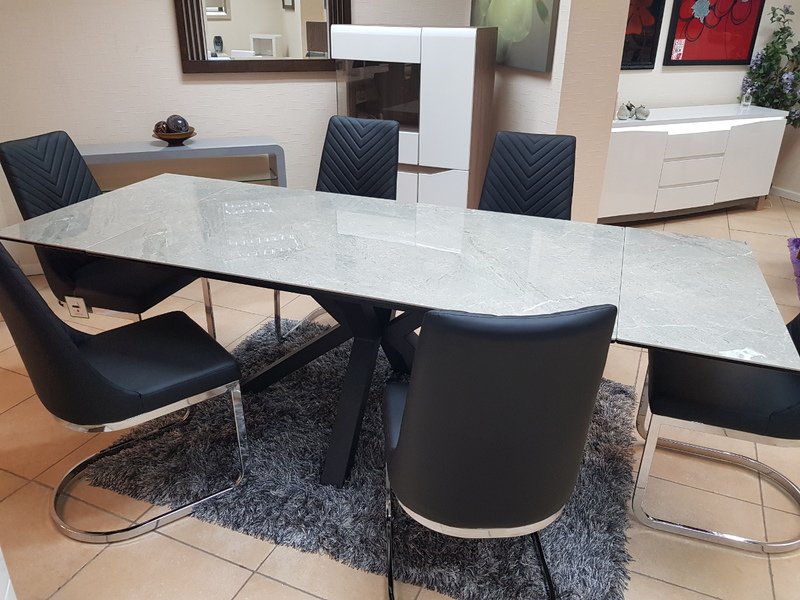 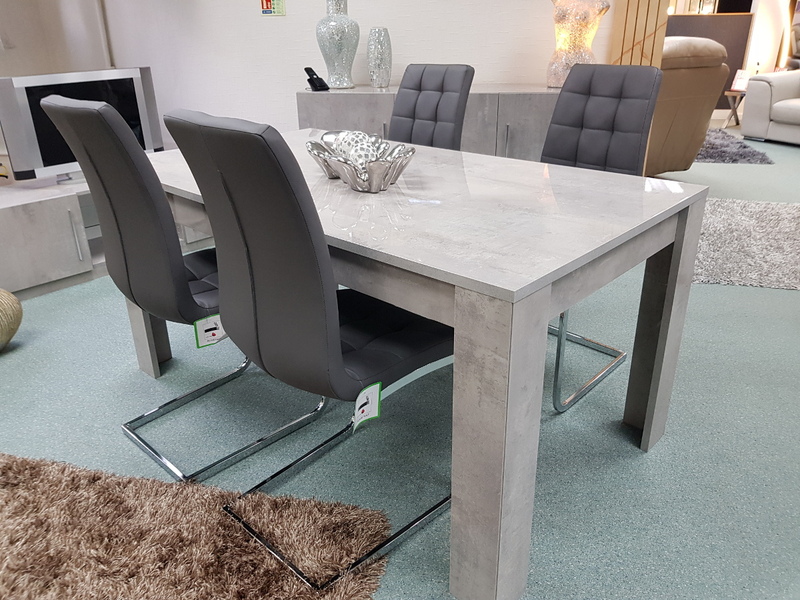 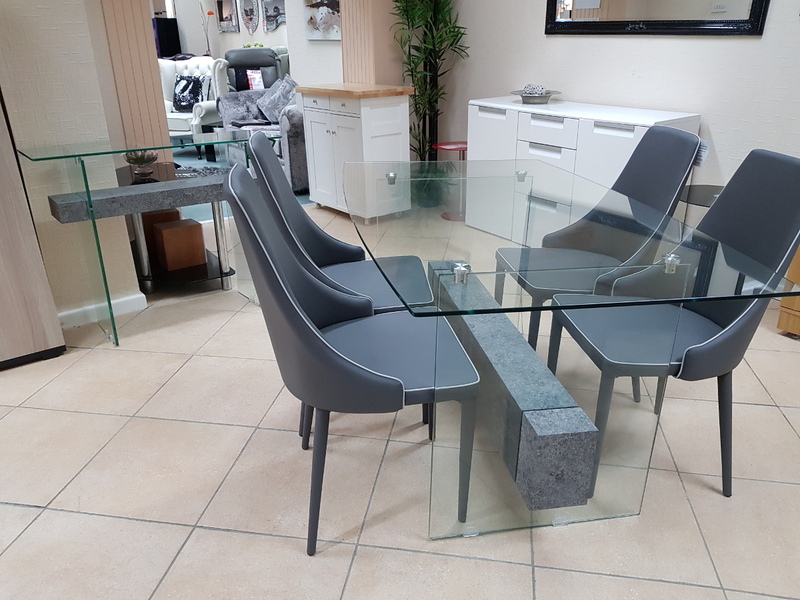 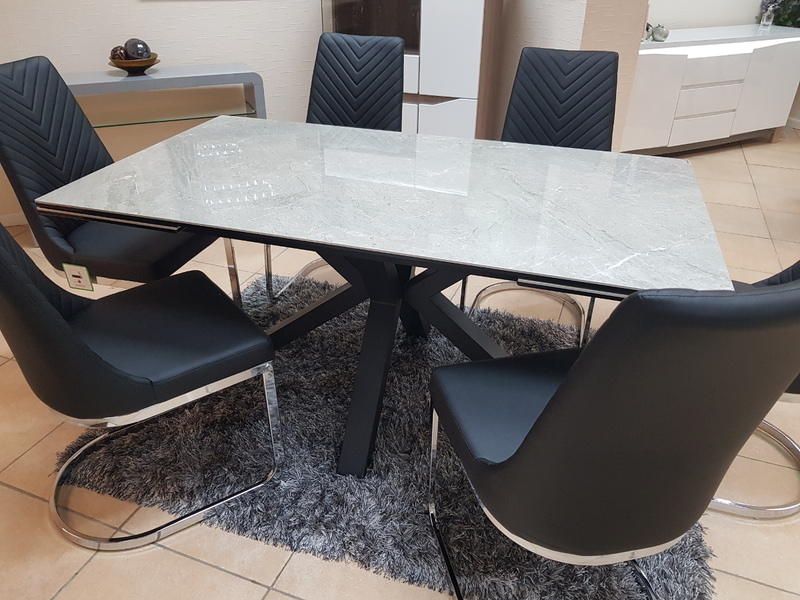 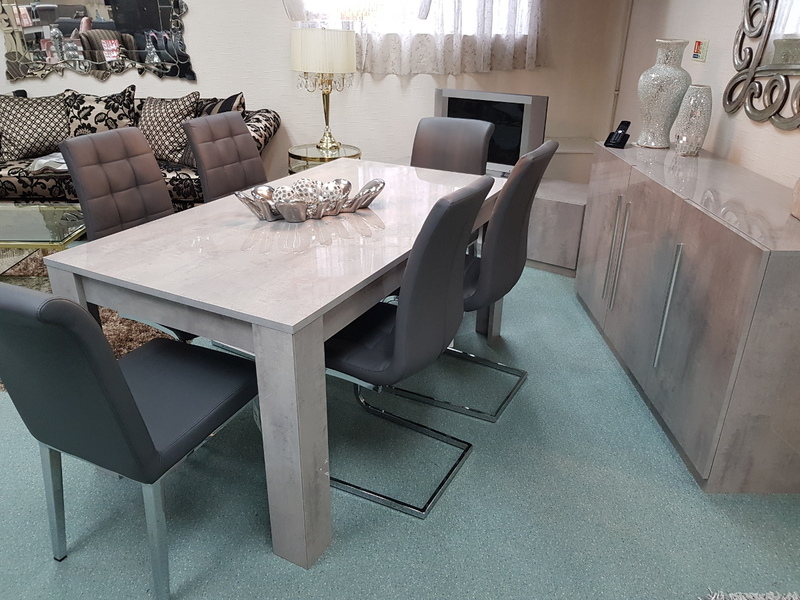 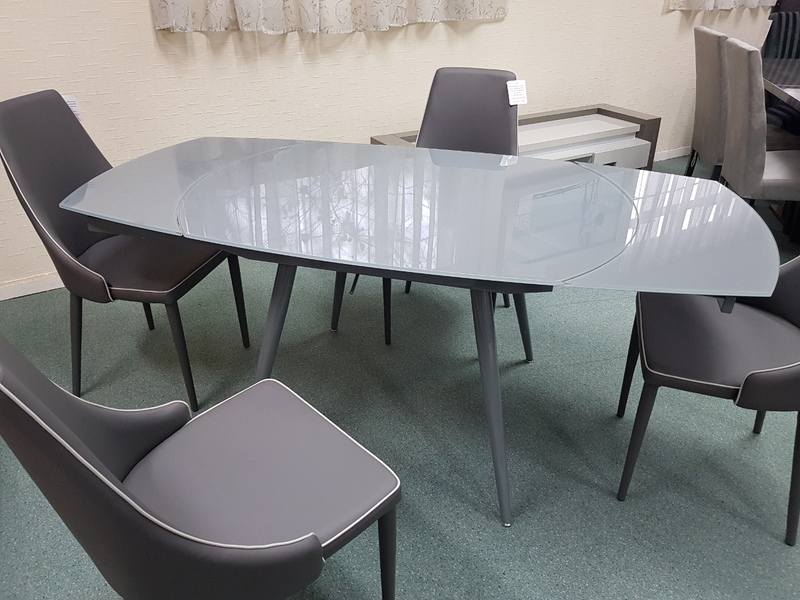 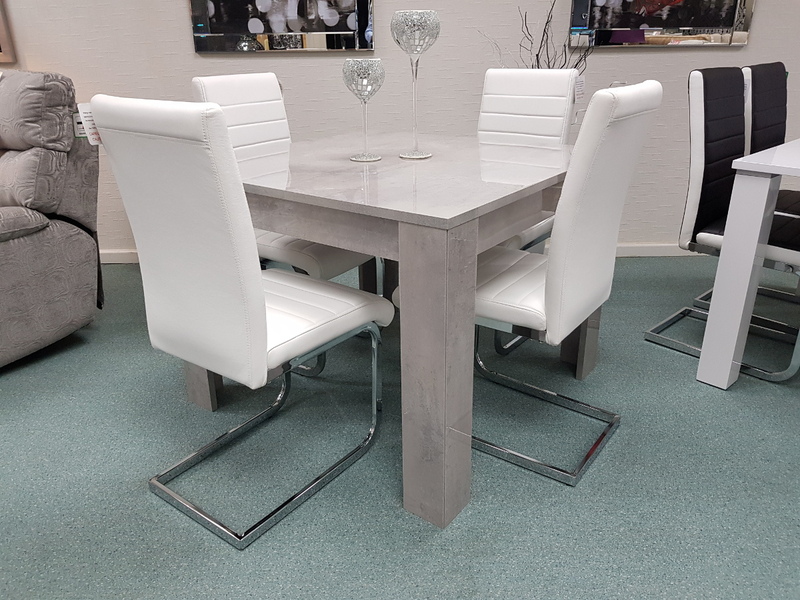 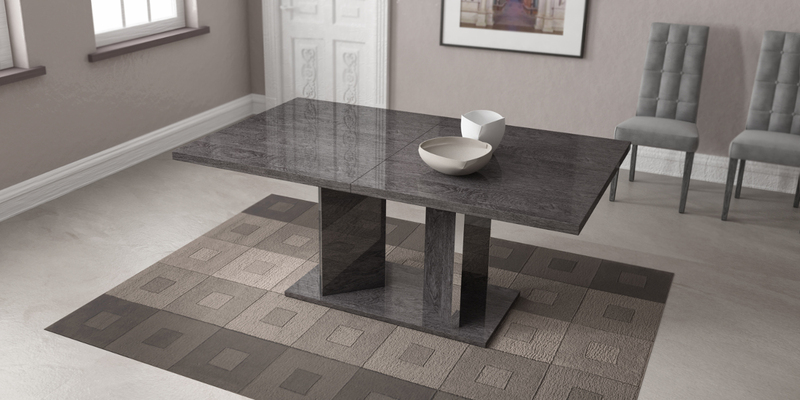 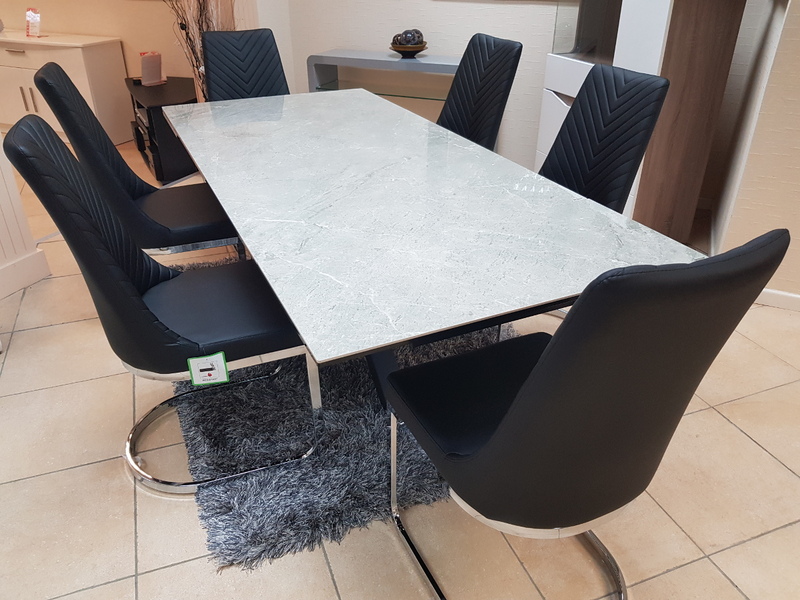 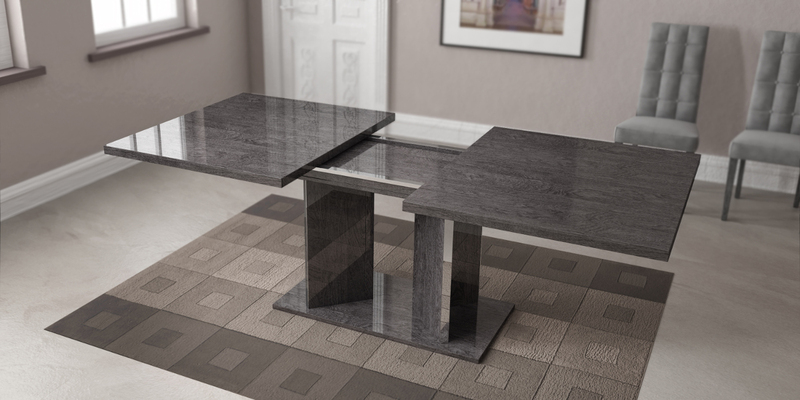 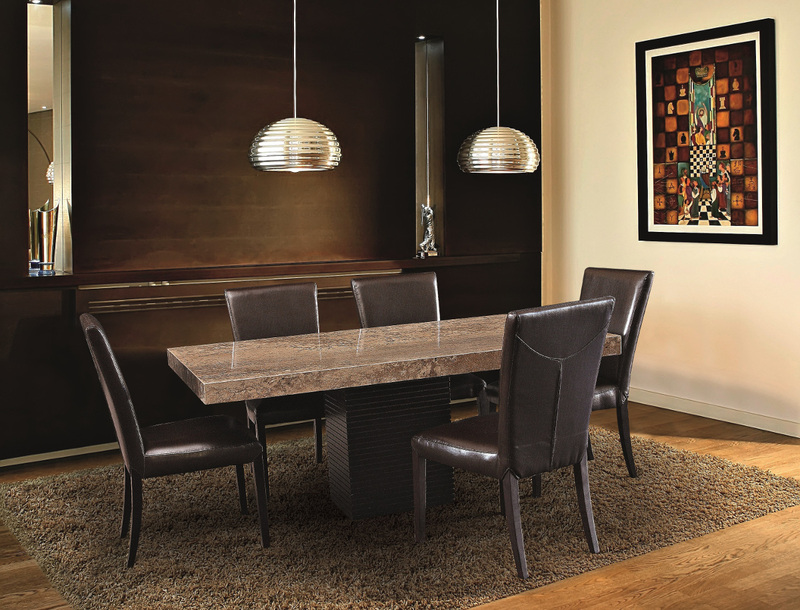 Our dining tables are available in a variety of colours and materials including glass, high gloss, marble, metal, brushed aluminium, stone, granite, wood veneer, solid oak and pine so there is a finish to suit every home. 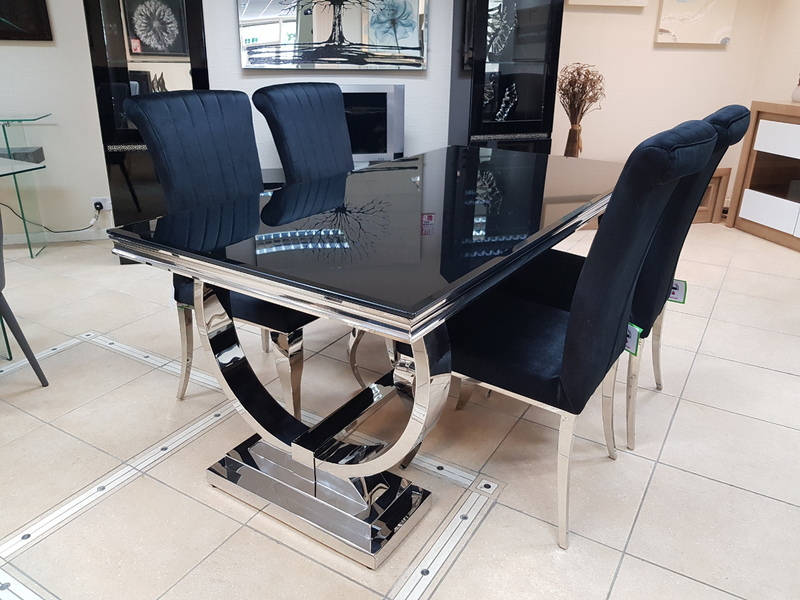 Table construction also differs with a variety of legs or bases ranging from traditional to modern, with standard legs to mirrored finishes or sculptural designs. 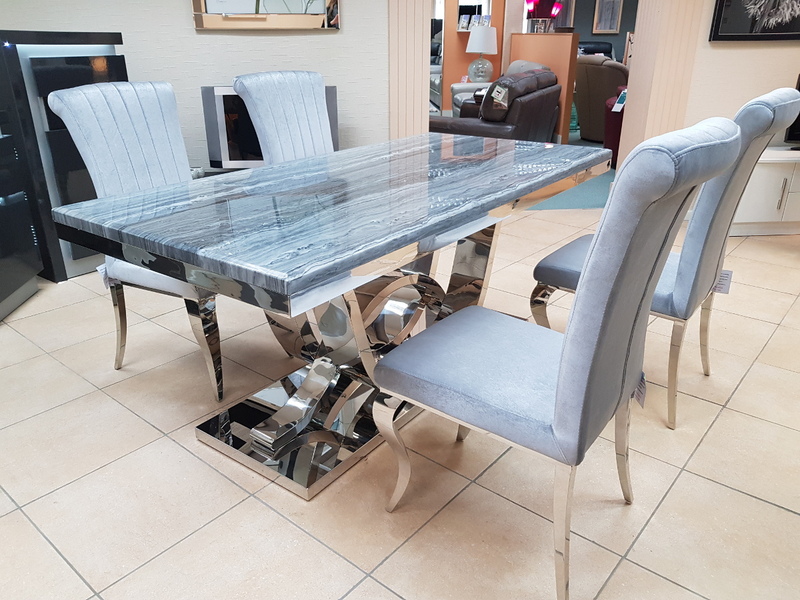 Many tables and their bases feature mixed materials and finishes for example high gloss paired with marble or metal accents to offer a standout aesthetic that can be both classic and contemporary. 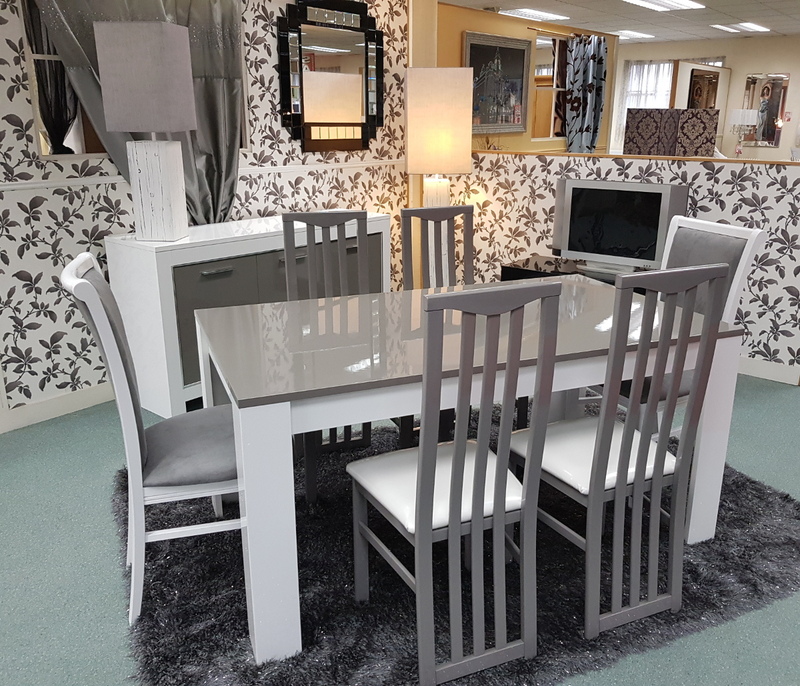 Our dining tables are available in most colours. 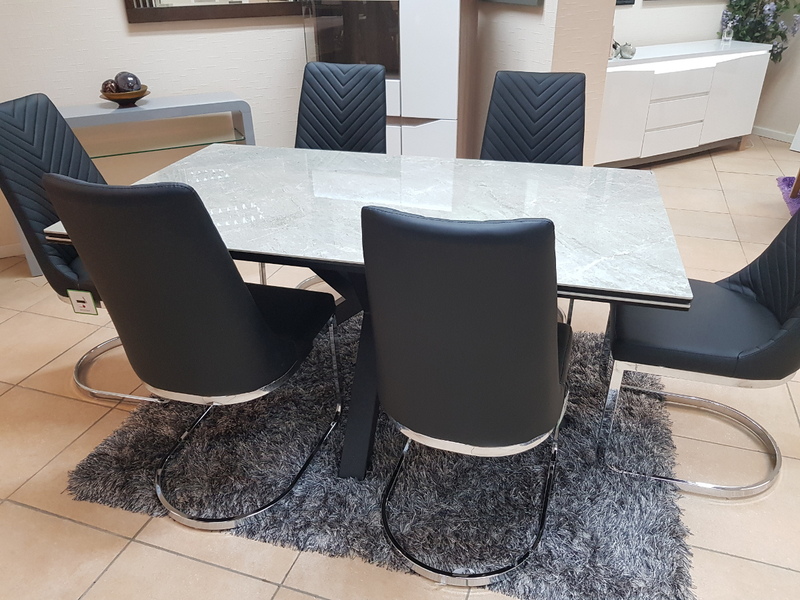 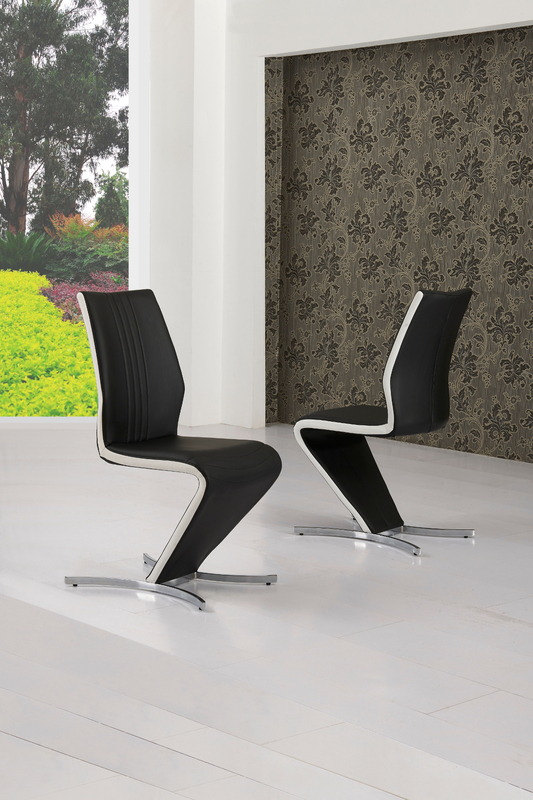 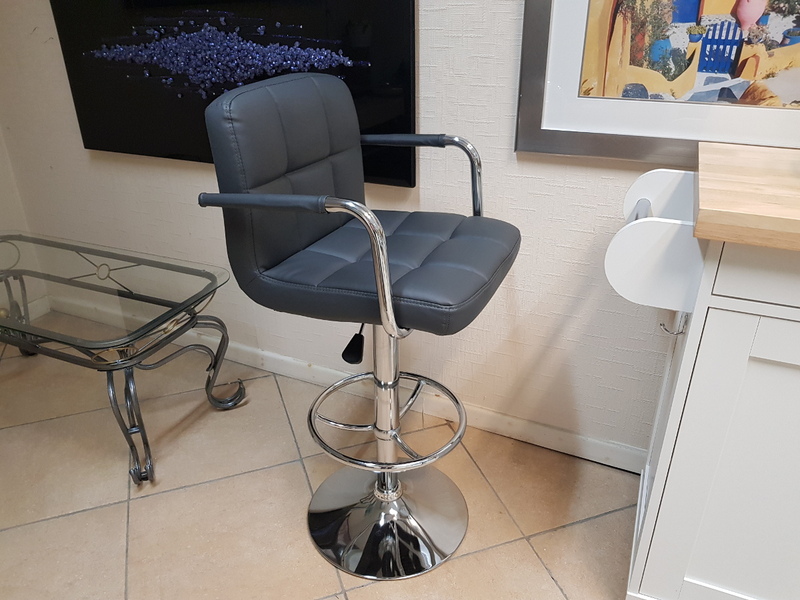 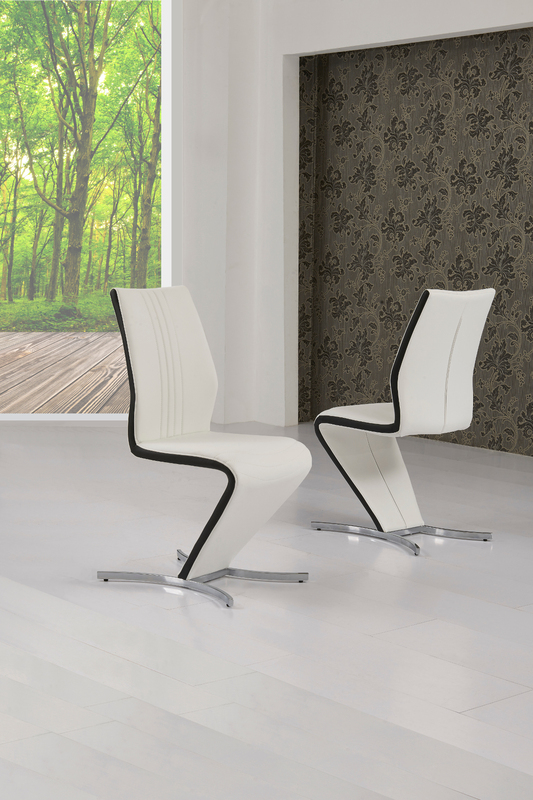 Our dining chairs are also available in a wide range of colours and materials including leather, imitation / faux leather, Polyurethane, PVC, chrome, high gloss, wood veneer, solid oak and fabric chairs. 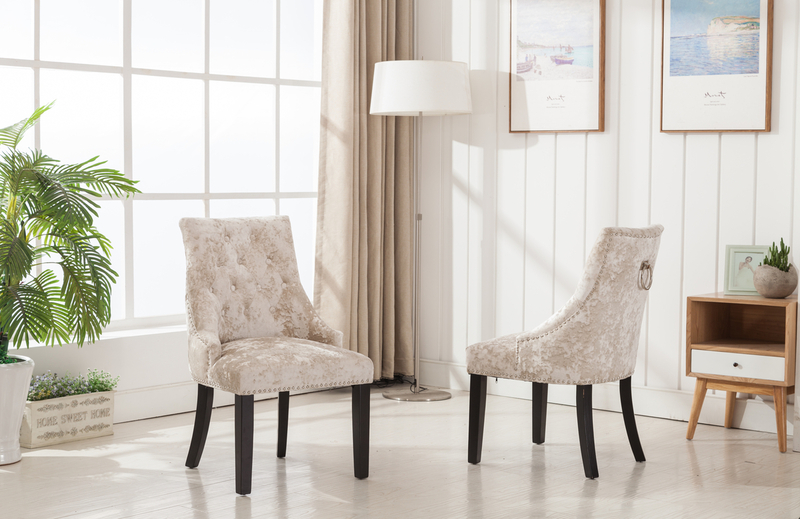 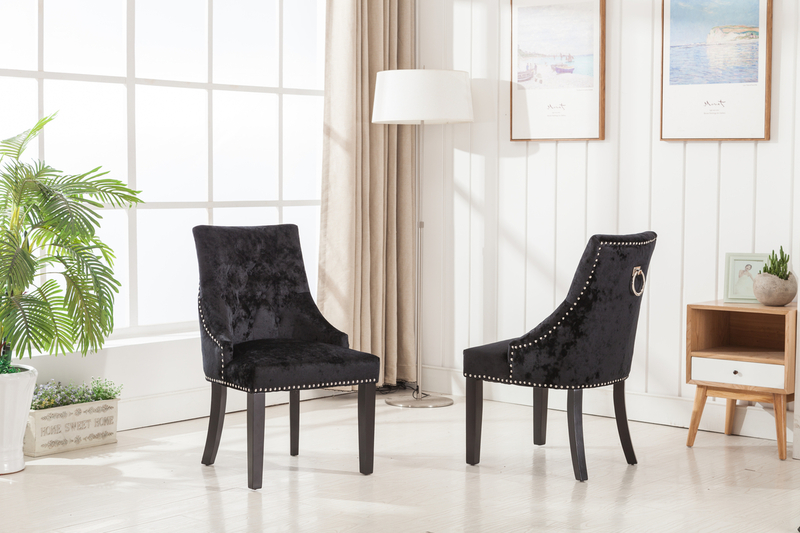 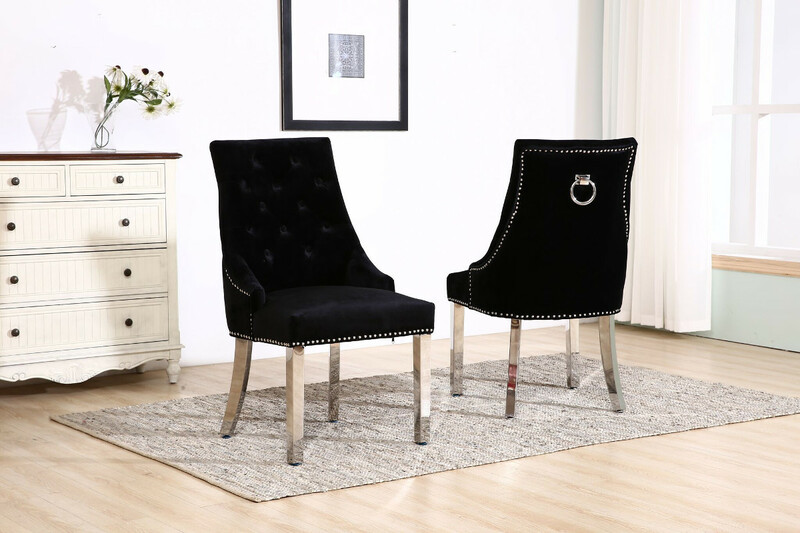 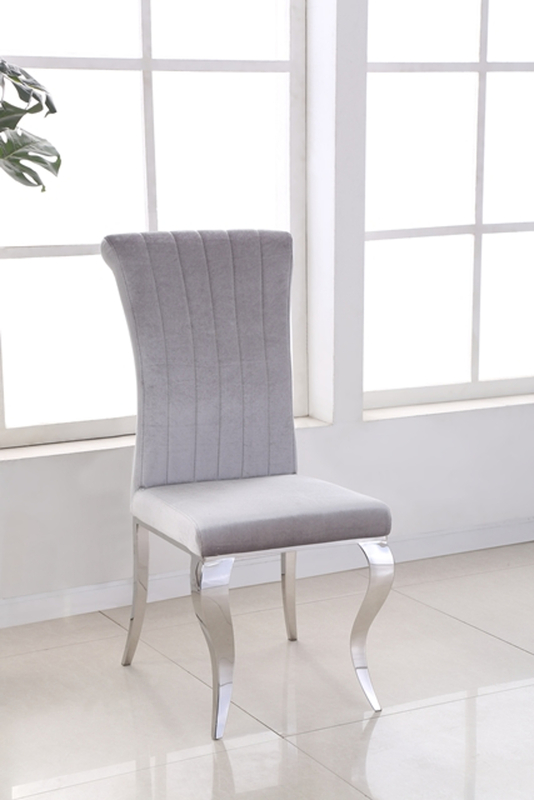 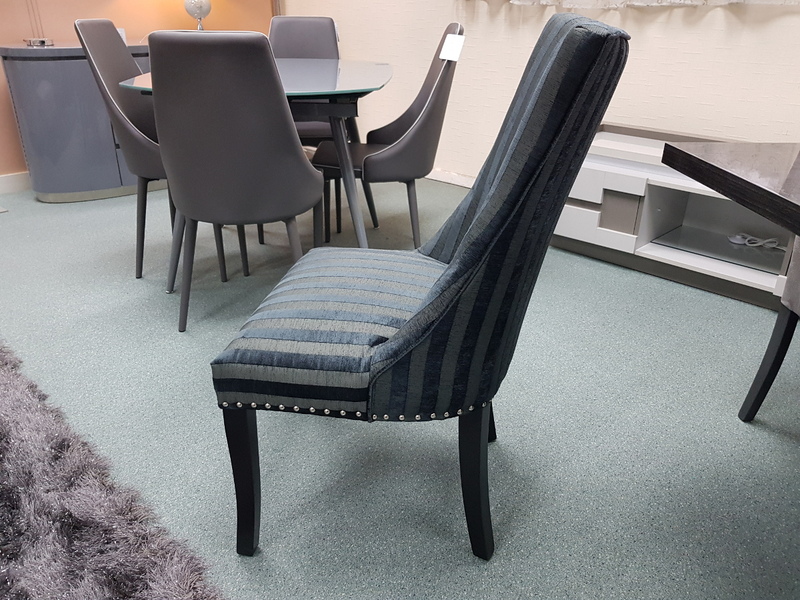 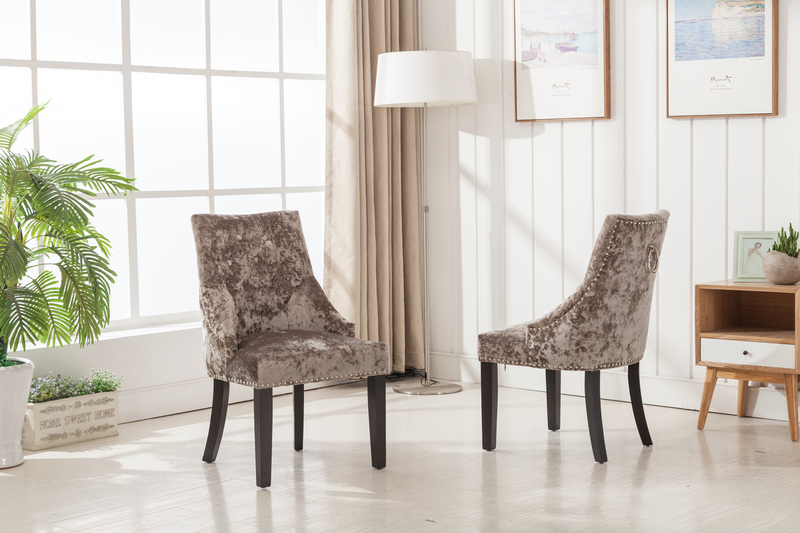 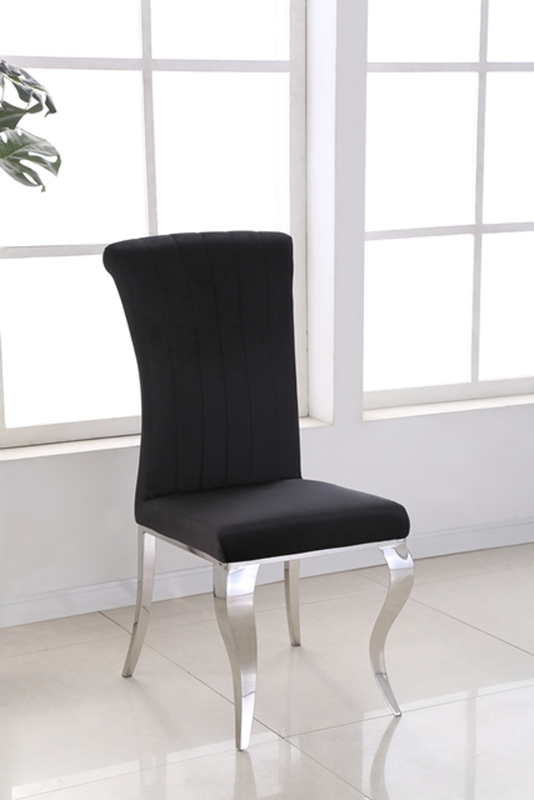 There is a huge choice of fabric chairs alone with several finishes available from velvet, crushed velvet and chenille and prints from stripes to florals as well as a multitude of plain colours. 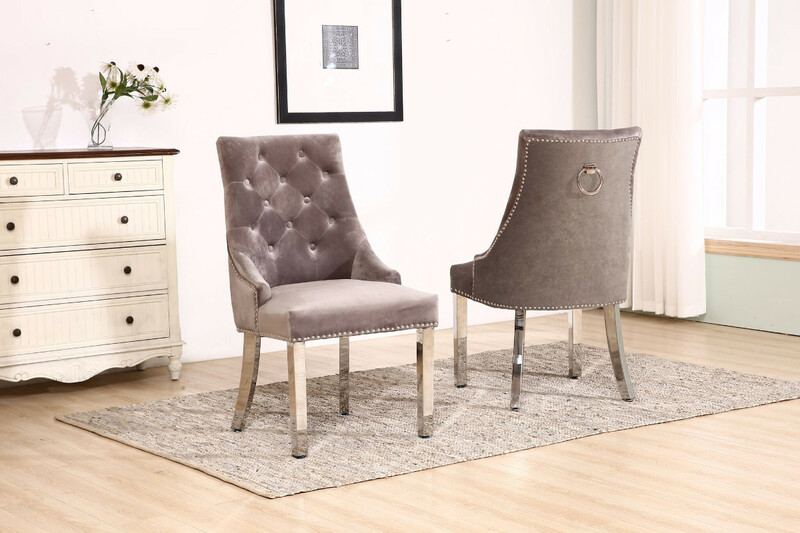 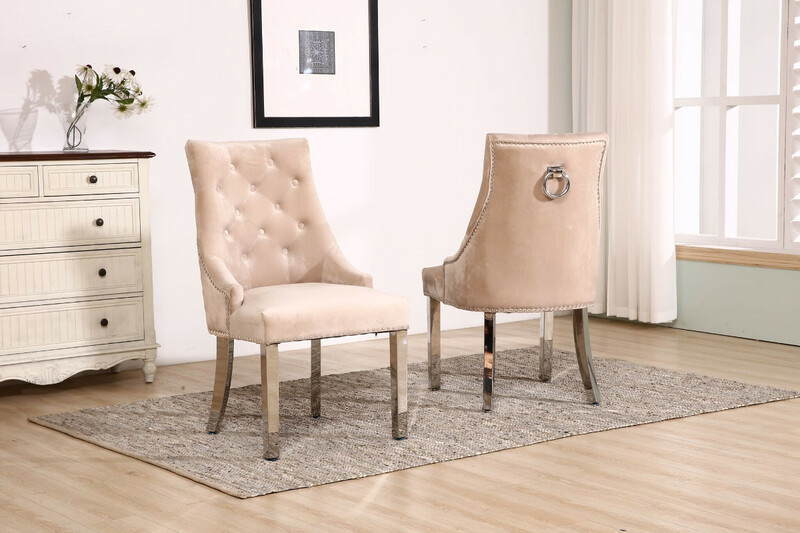 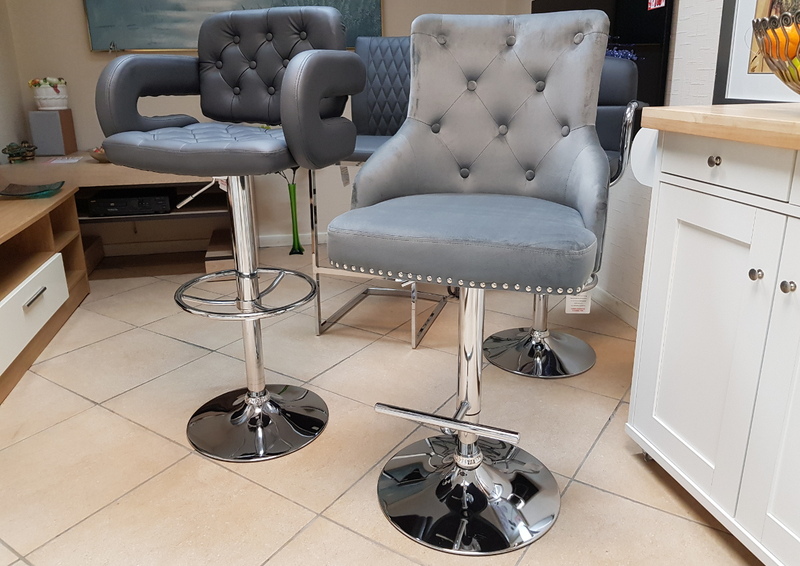 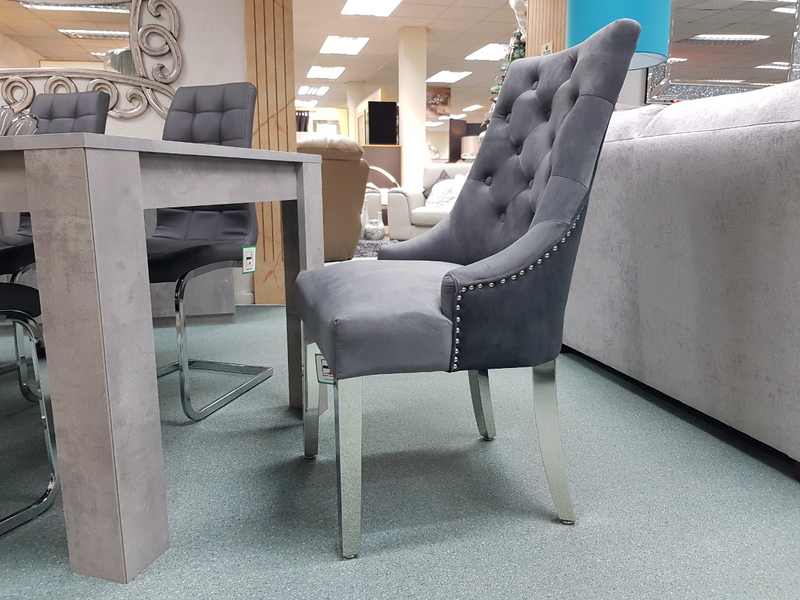 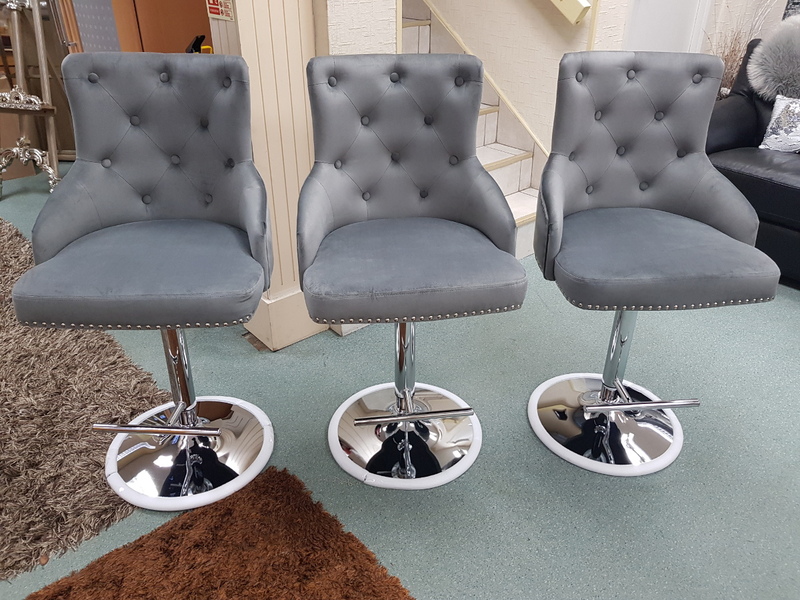 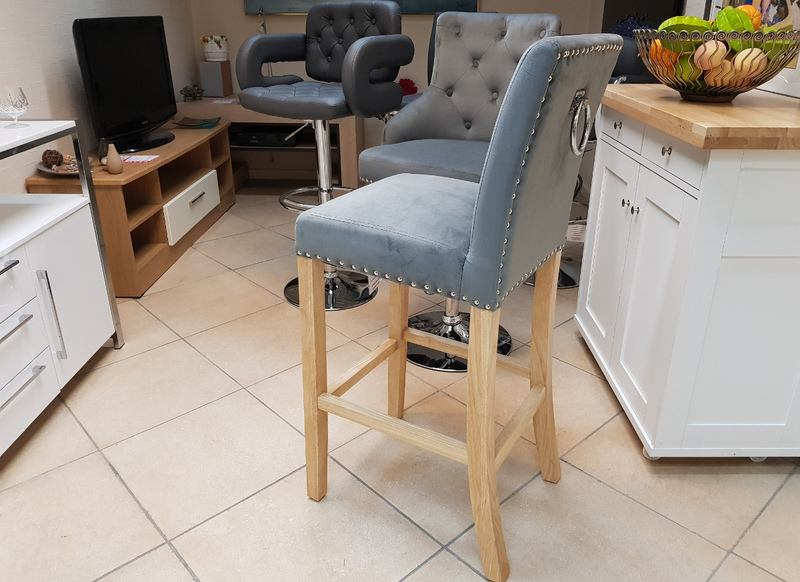 We have many models with additional design features such as studded chairs, quilted chairs, piping on chairs, buttoned back chairs, bow back chairs, knocker back chairs and handle back chairs to provide those finishing touches that really finish off your furniture. 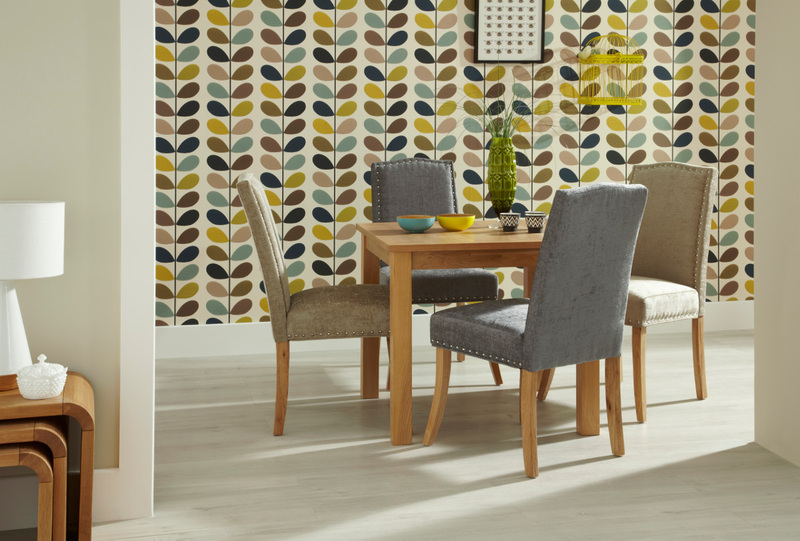 To put your own stamp on your dining space, chairs can also be mixed and matched in various colours or prints that both clash and complement to create a space unique to you. 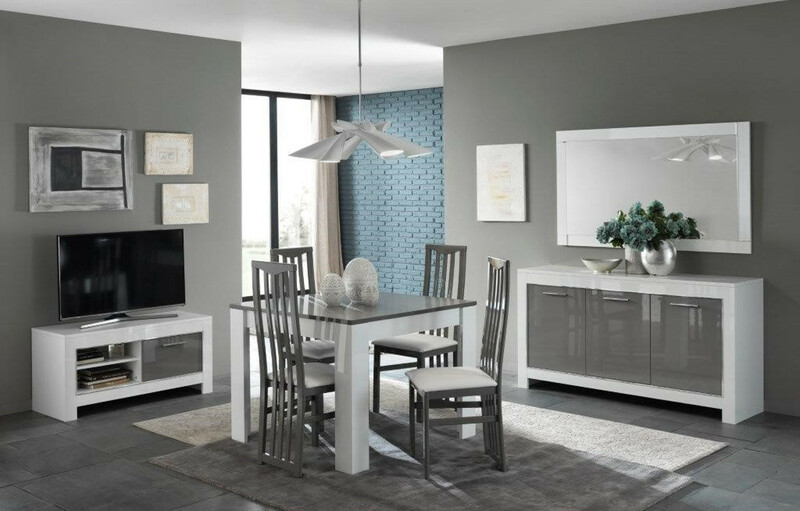 Complement your dining table and chairs with a stylish storage solution in the form of a quality sideboard. 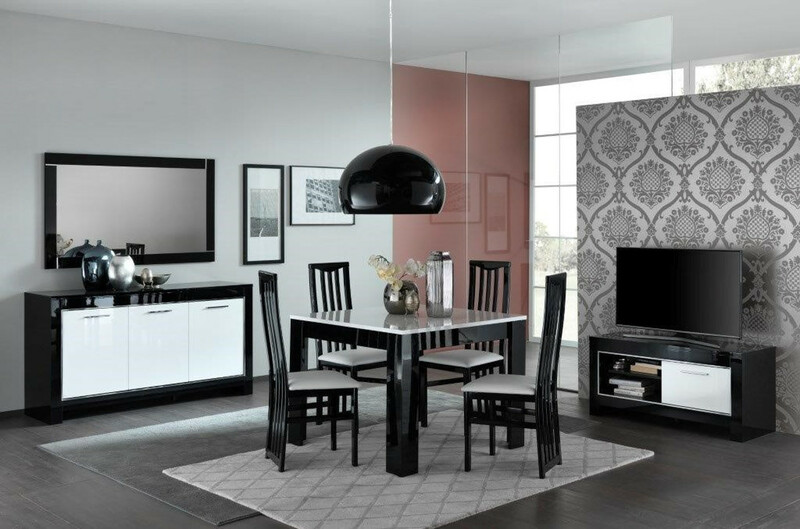 Our range includes contemporary marble sideboards, glass sideboards, mirrored sideboards or high gloss sideboards to more traditional wood veneer sideboards or solid oak sideboards. 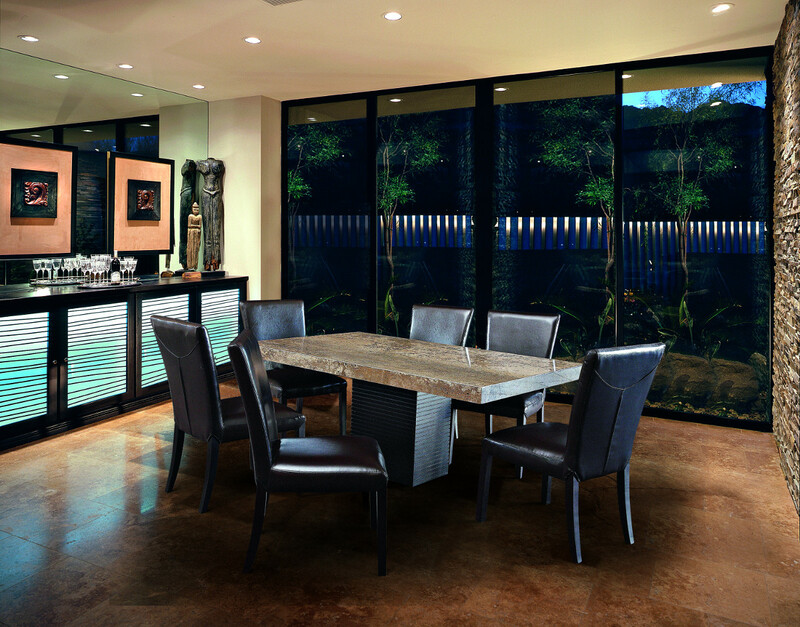 There are also a variety of finishes and design details from metal accents to mirrored panels. 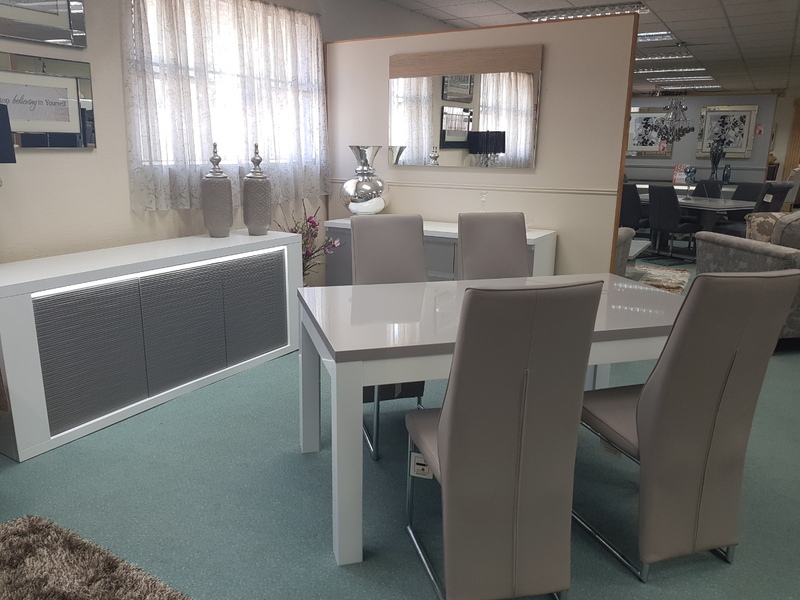 Sideboards are available in a variety of shapes and sizes, we have small sideboards, medium sideboards and large sideboards to suit your living space. 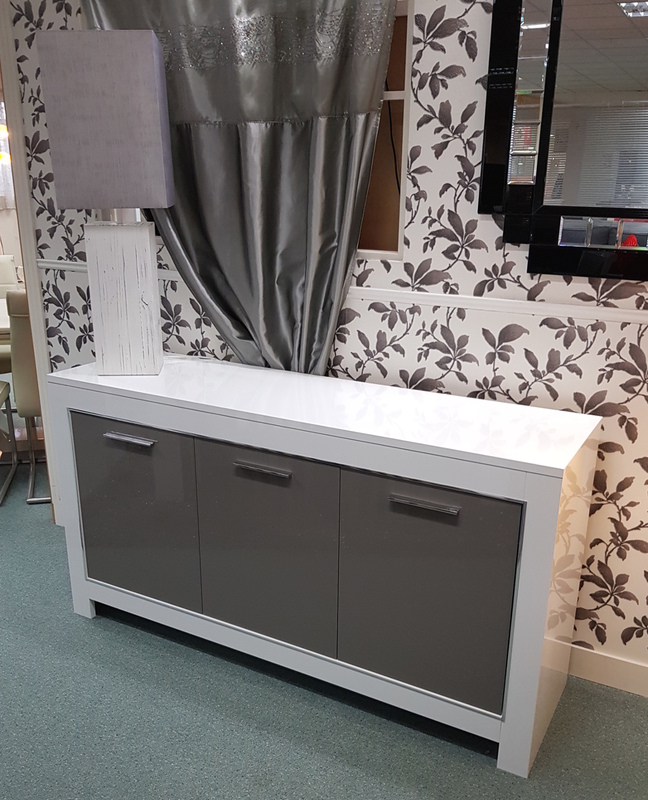 We can also provide sideboards to fit in alcoves. 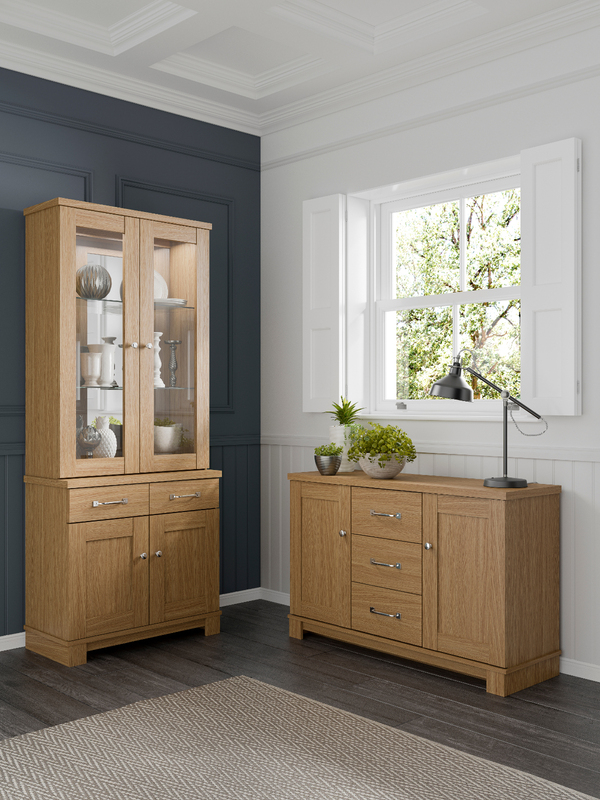 All of our sideboards have a range of drawer and door combinations depending on your preference and storage requirements with 1 drawer / 1 door options up to 4 drawers / 4 doors. 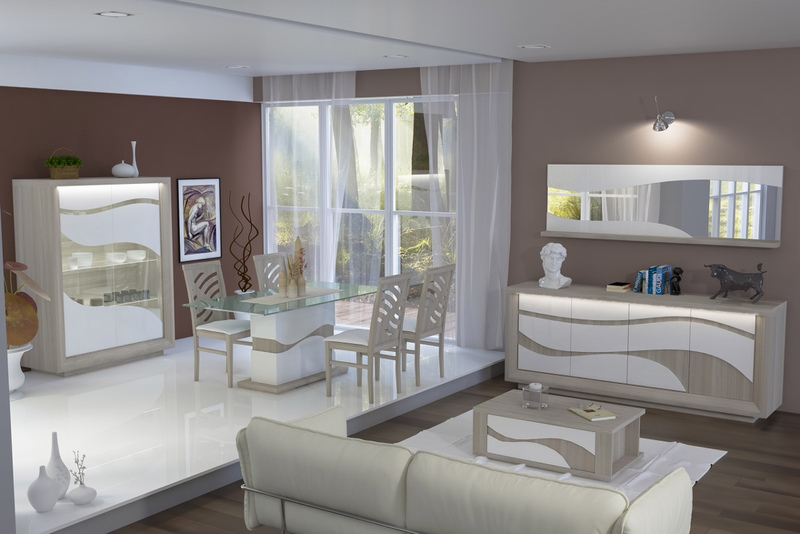 We can even source wine rack sideboards. 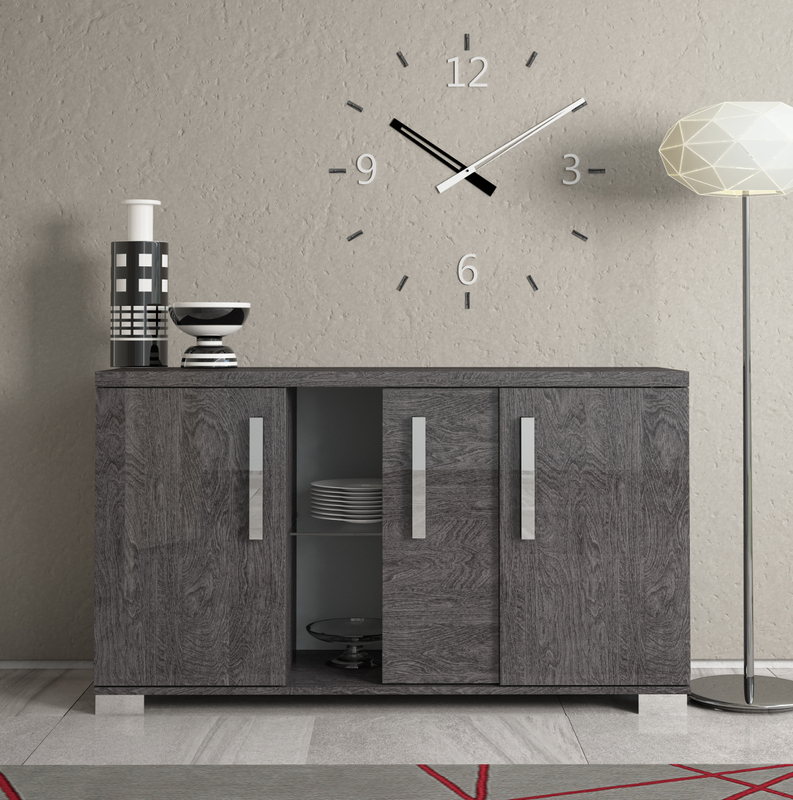 Looking for a cabinet for display or additional storage? 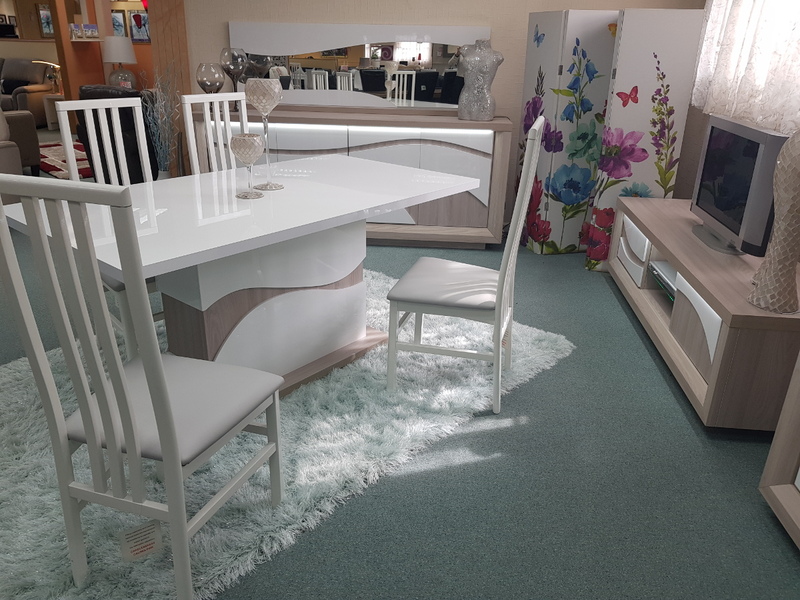 We also stock a wide variety of display cabinets, buffet and hutch cabinets and china cabinets for your living room, hall or lounge. 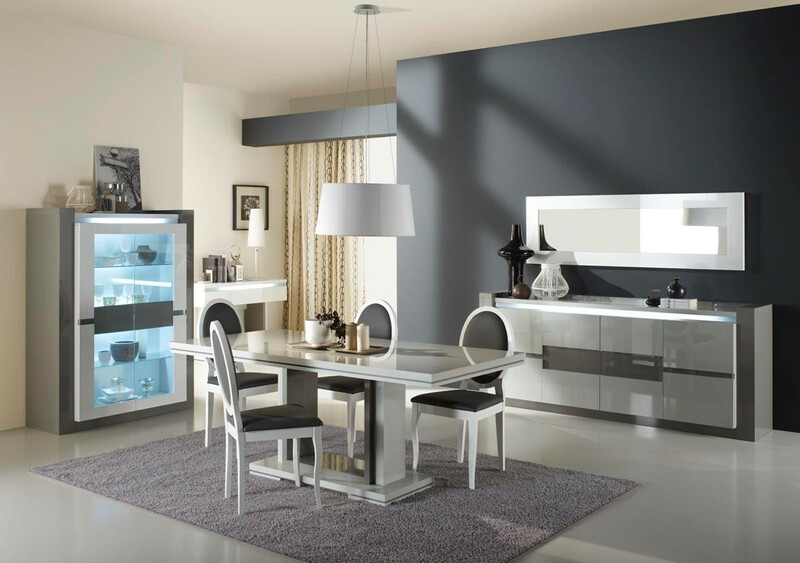 The cabinets are available in a variety of sizes and shapes from tall display cabinets, small display cabinets, wide display cabinets, narrow display cabinets and corner display cabinets. 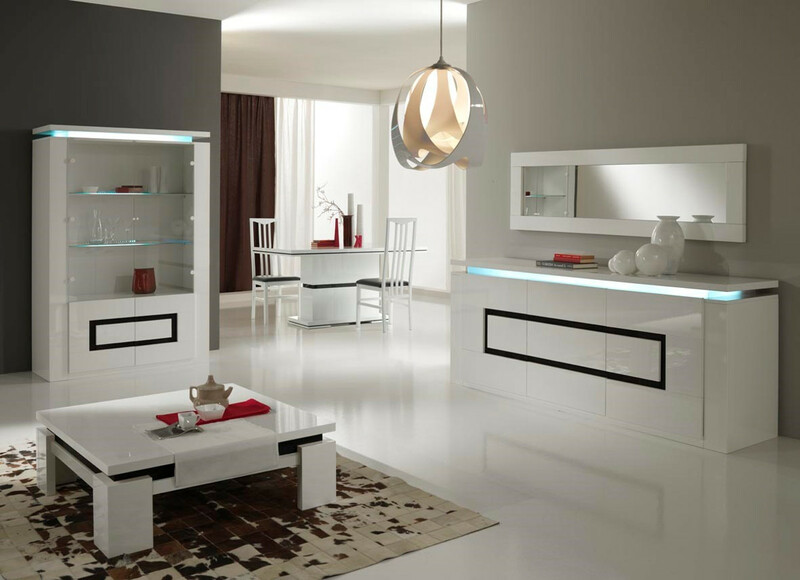 Display cabinets are available in a range of finishes including glass, solid wood, wood veneer and mirrored. 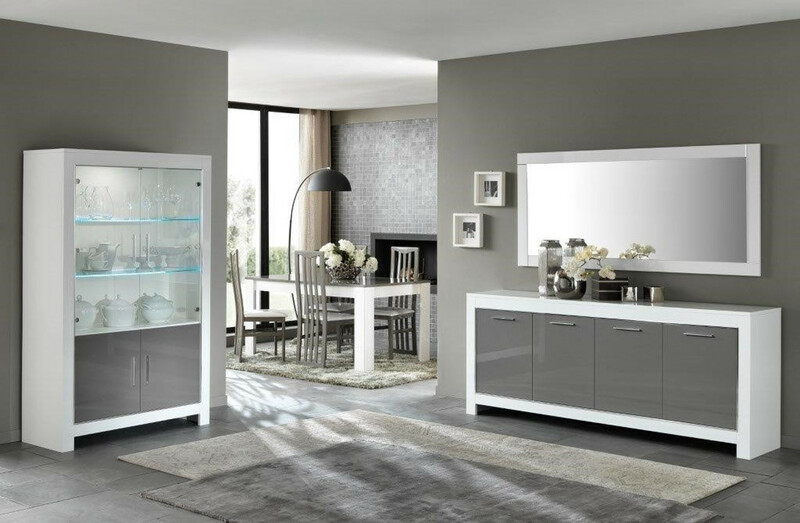 We also stock a range of cabinets with a mirrored inside back. 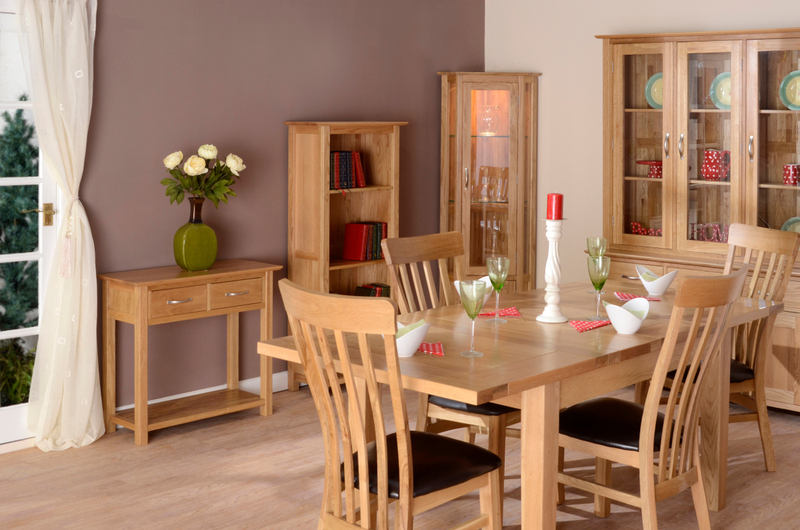 Popular display cabinet colours include ash, walnut, cherry, yew, maple, washed oak, light oak, teak and mahogany. 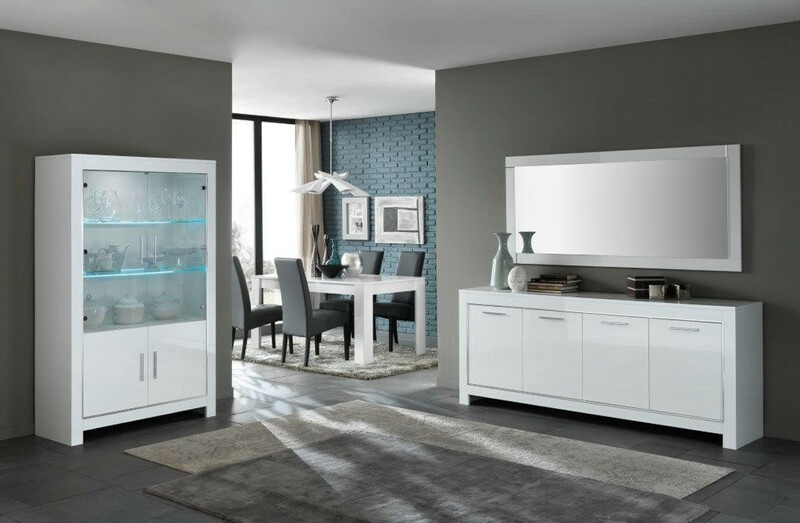 Our display cabinets are available with a variety of door options from 1 door display cabinets, 2 door display cabinets, 3 door display cabinets and 4 door display cabinets.